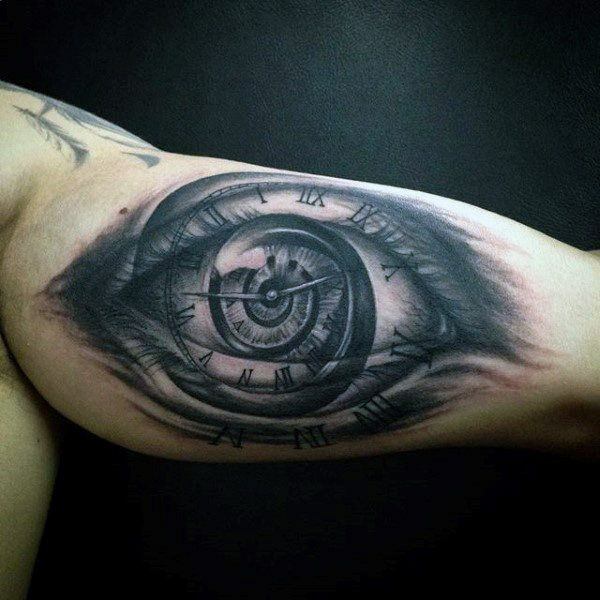 If you are looking for a new tattoo idea, something intense and awesome then look no further than the eye tattoo. They are unique and original and some of the ideas will really blow your mind. 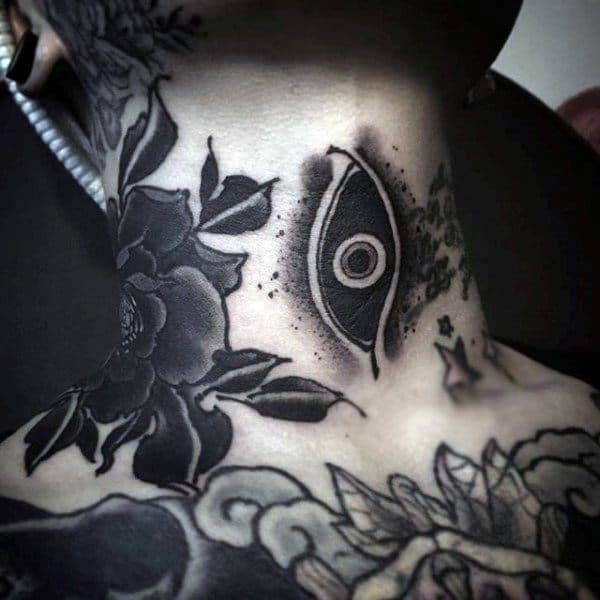 An eye tattoo can be awesome for a lot of reasons, and they can be worn by both males and females. 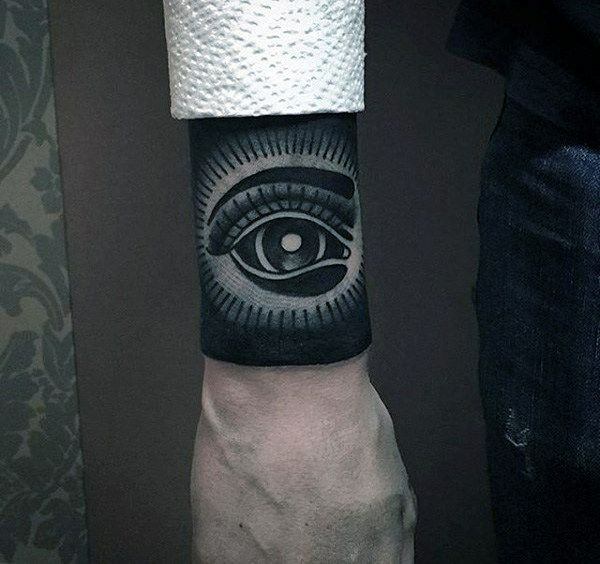 The great thing about eye tattoos is that you can have some pretty amazing details to it so that it looks very real. 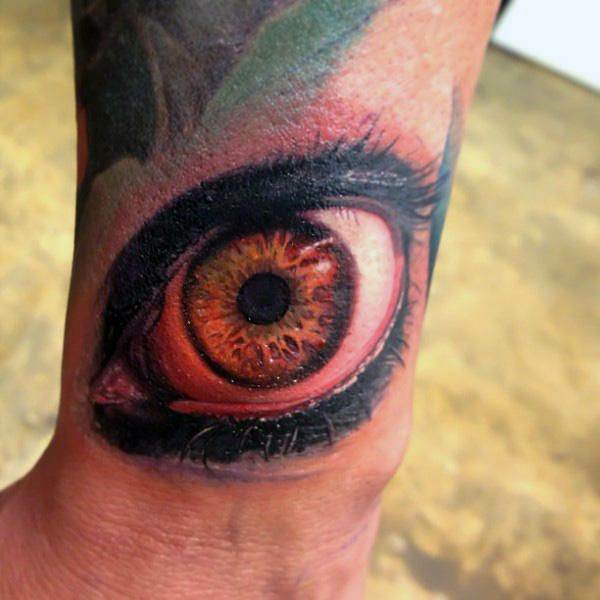 Eye tattoos can be very striking, you won’t find a cooler tattoo idea than that. 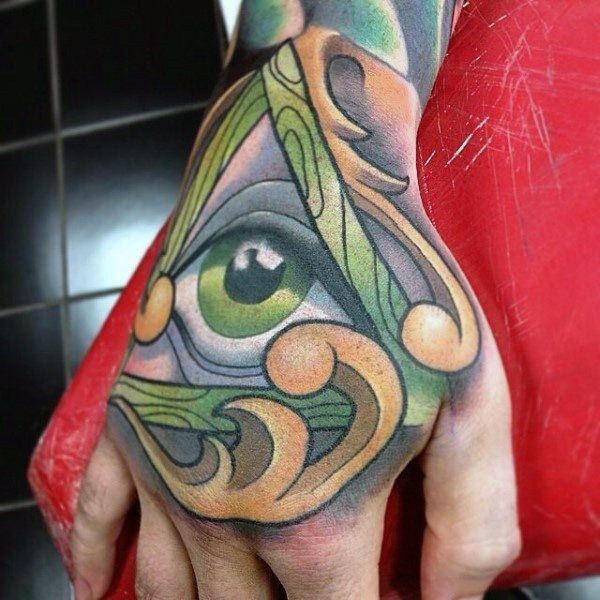 There are a lot of symbolic reasons for getting an eye tattoo as well. 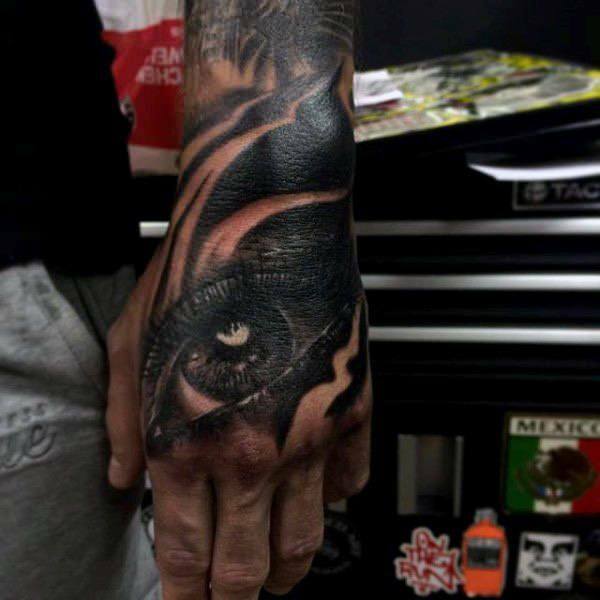 You might just love the fact that there is symbolism behind the eye tattoo because it gives extra meaning behind your tattoo. 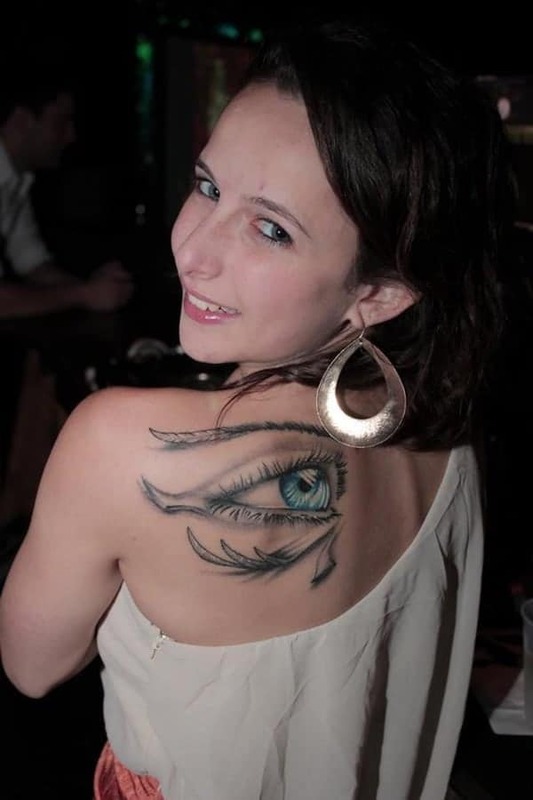 Many people like very simple eye tattoos while other people like the detailed look. 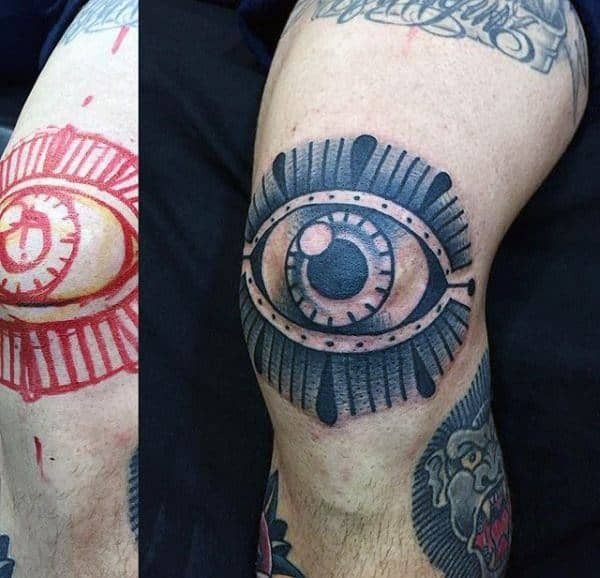 Either way, you can get a really cool looking tattoo. 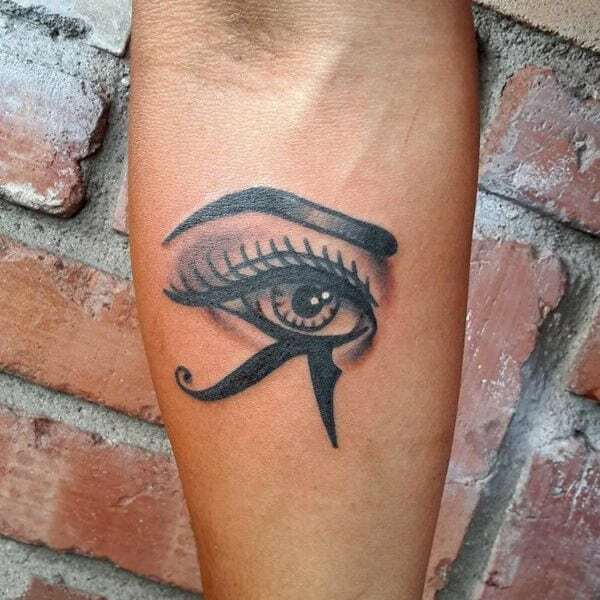 There are many different types of eye tattoos, really the sky is the limit. 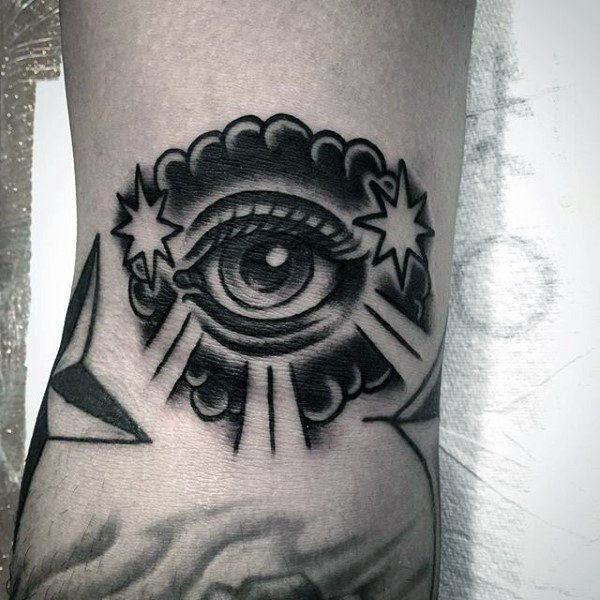 You don’t even need to do a human eye if you don’t choose to, there is the option of a cat’s eye or a snake’s eyes which are two more popular choices for the eye tattoo. 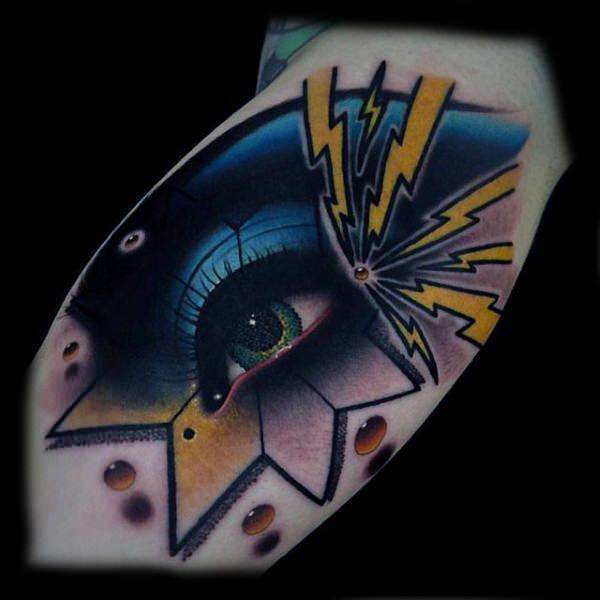 If an eye tattoo is what you’re looking for then look no further than this article. 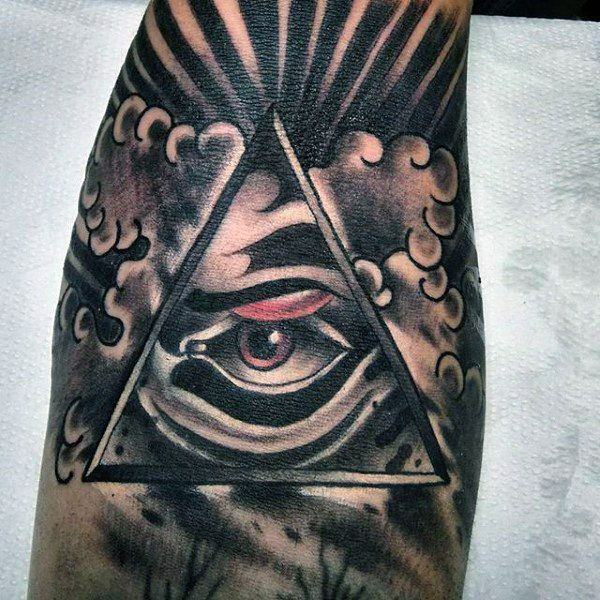 The all seeing eye is a popular tattoo choice because of its symbolism. It’s a simple design that looks good in black and white. 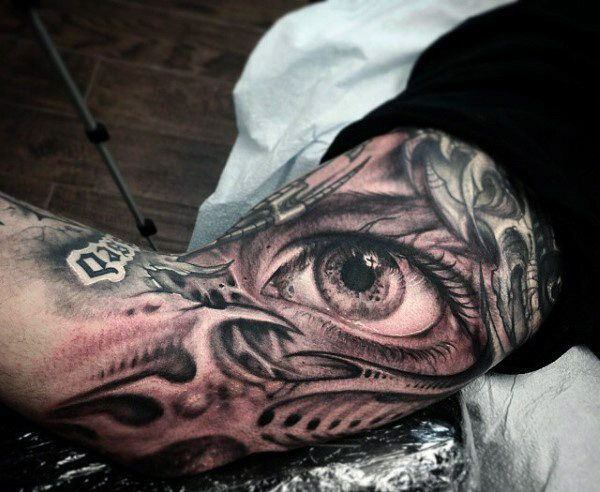 This is a gorgeous example of how much detail can go into an eye tattoo. 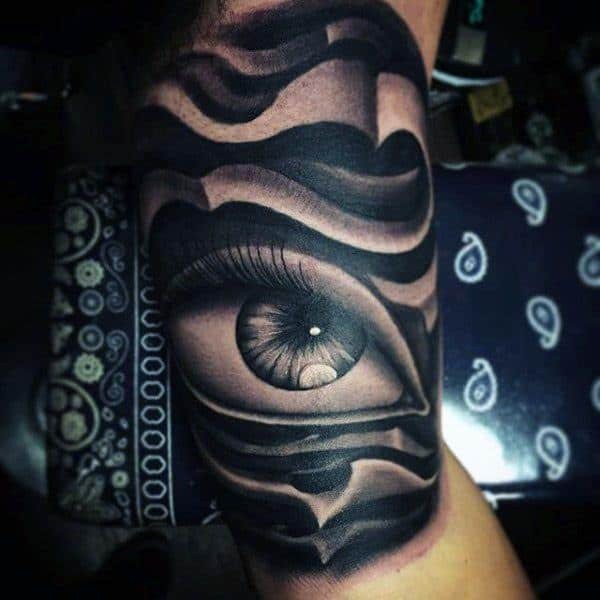 The eye here is just a small part of a sleeve tattoo. 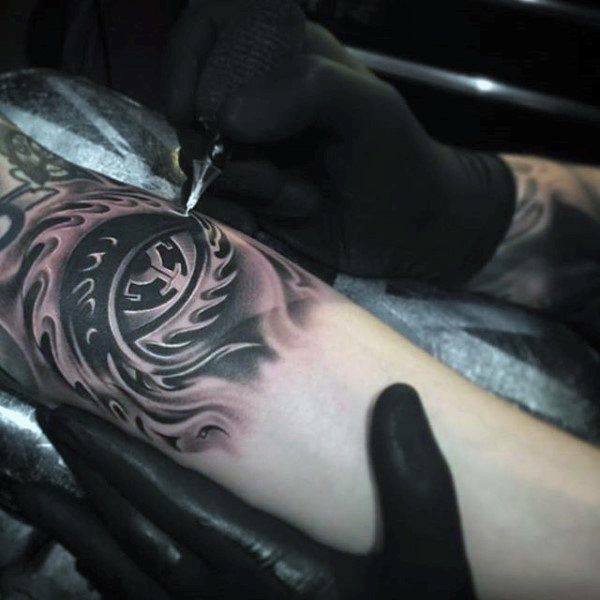 It looks amazing amongst the swirling design. 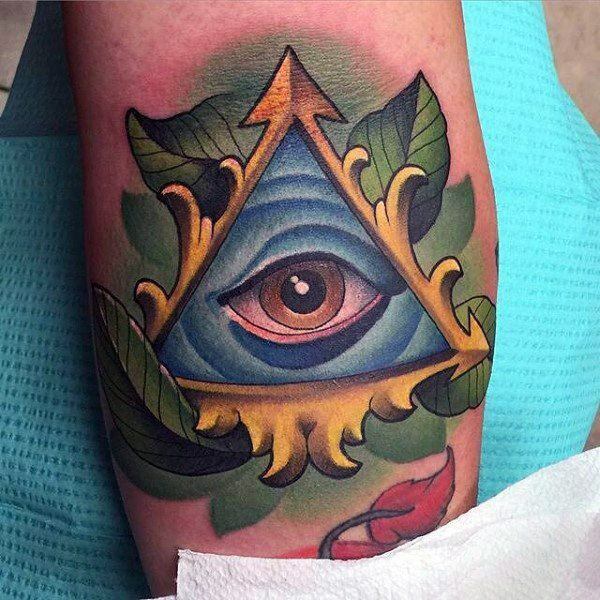 This all seeing eye is truly bold and mysterious. I love the colors that are involved with the design. 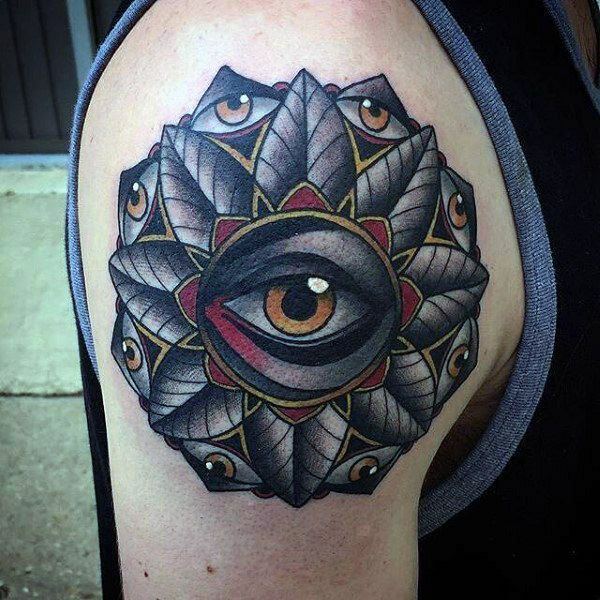 A very unique design that has the inside of the eyes looking like the honey combs in a hive. 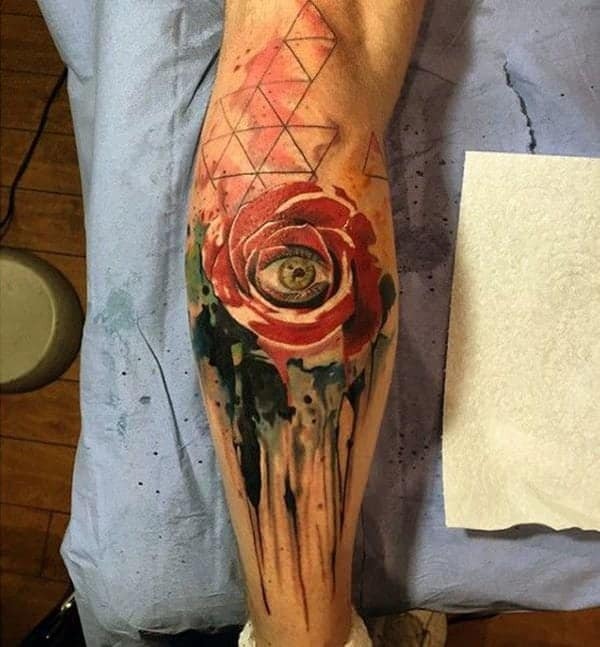 Add a few bees to the design and you have a pretty cool tattoo. 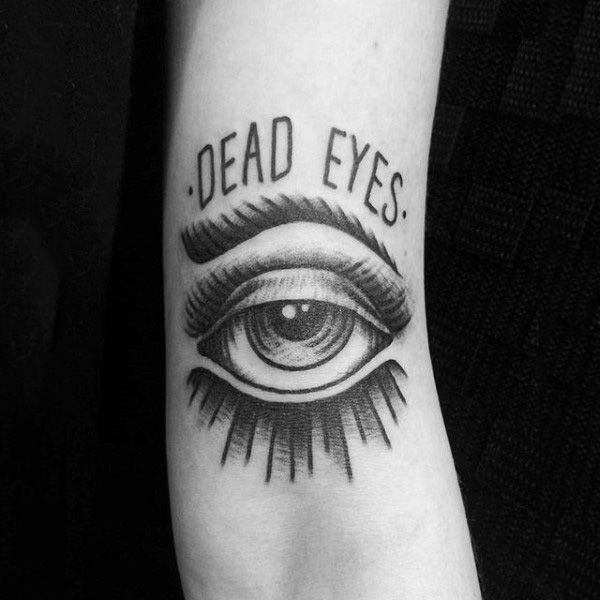 Do you feel like you have dead eyes? Or you’re dead inside? 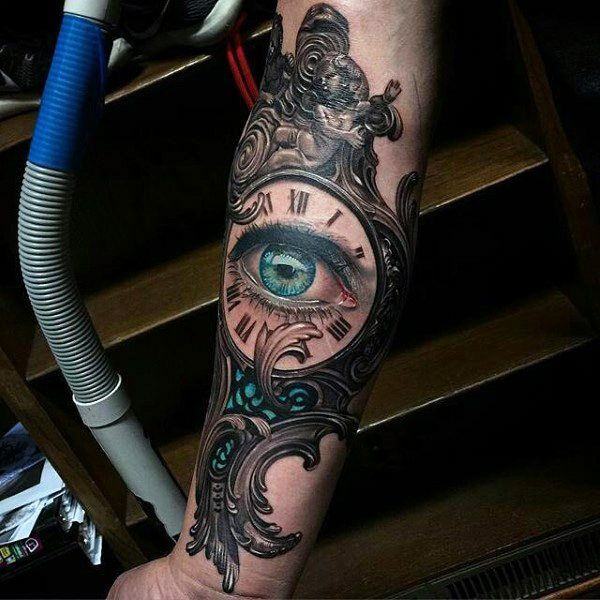 Then you are sure to love this tattoo design. 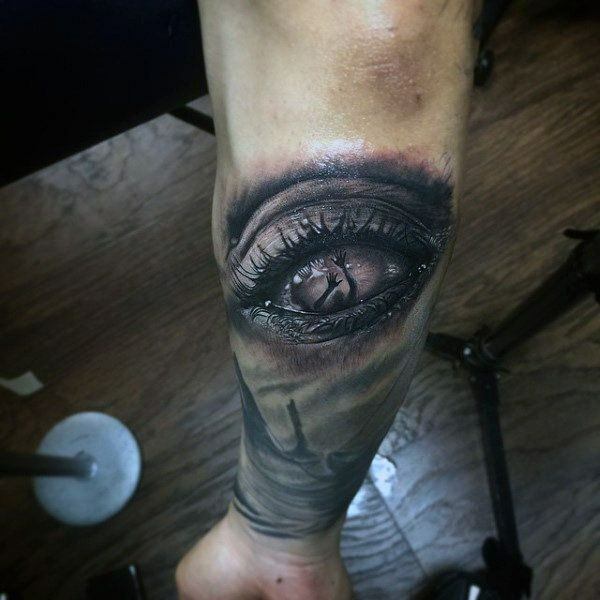 These unique eyes tell a story all their own. This wolf has three eyes and he’s very ferocious. 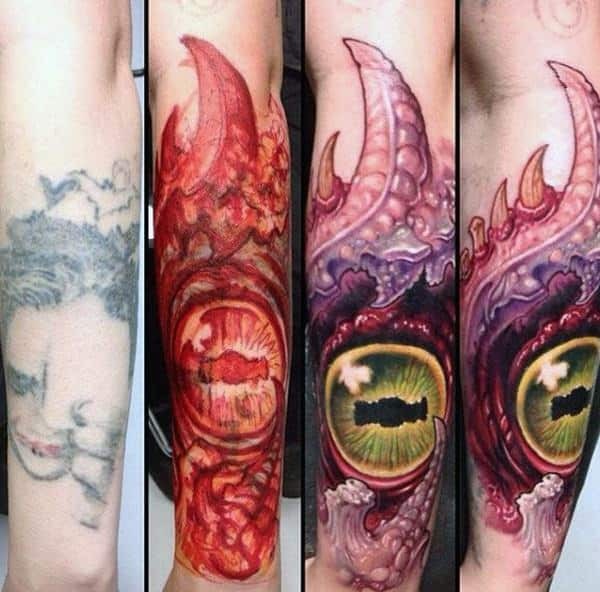 If you are looking for a badass tattoo then look no further than this. What a stunning design. 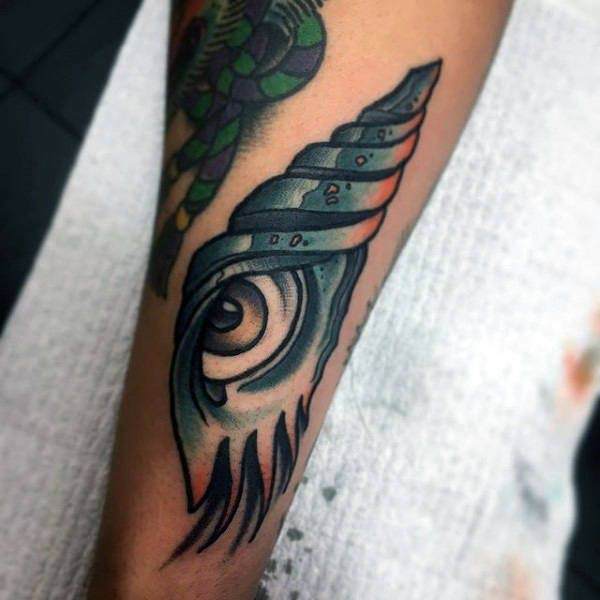 This tattoo of an eye is surrounded by wings. There is so much detail here that it’s hard not to stare at it. A gorgeous design for anyone that loves wings. 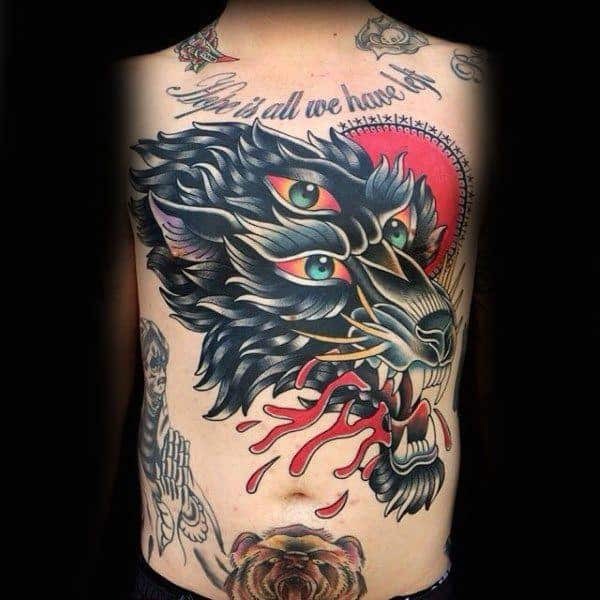 A huge back tattoo that has incorporated an eye into the design. 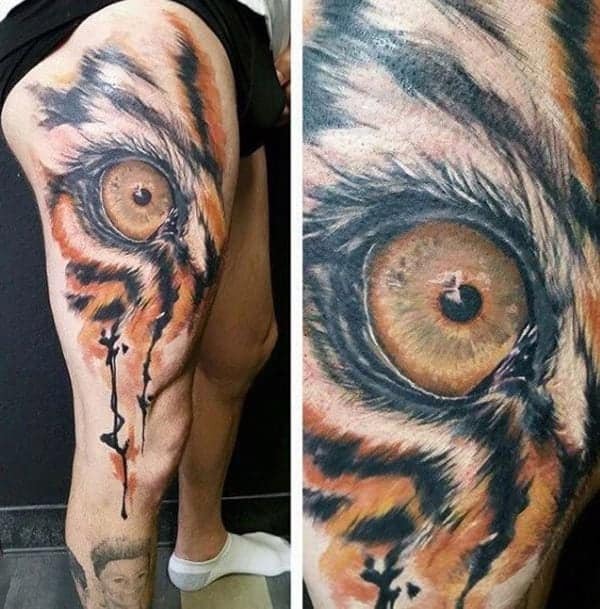 There is a lot of detail to this tattoo which makes it really unique. 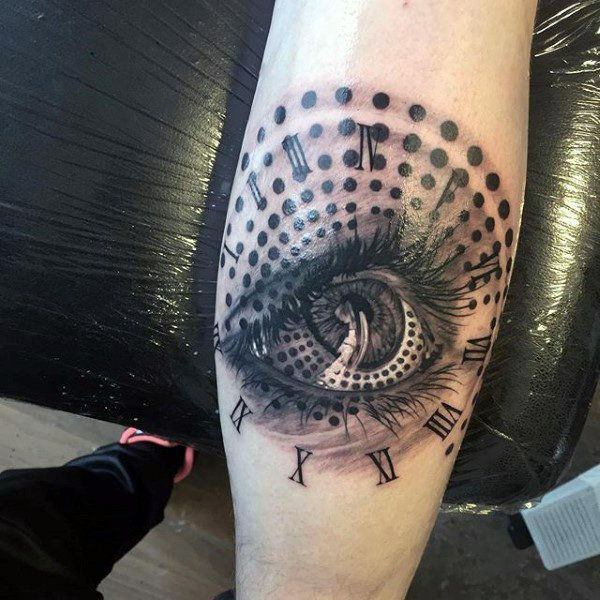 This is a very interesting design because it’s in the shape of an eye but the inside is a watch or clock of sorts. 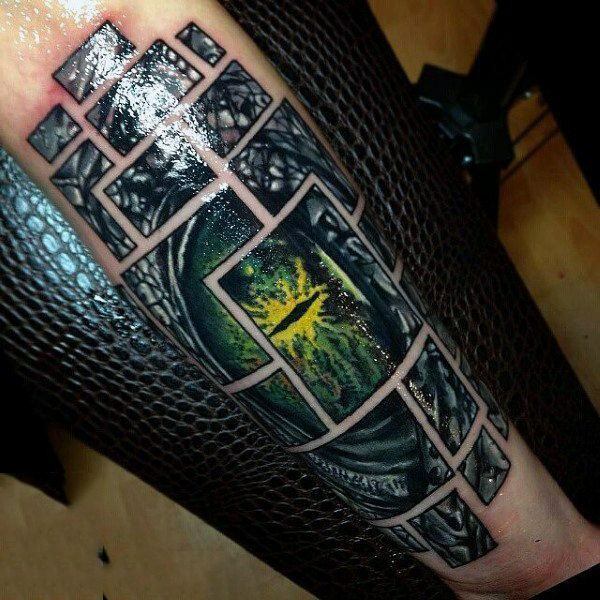 You won’t find a more badass design than this one. 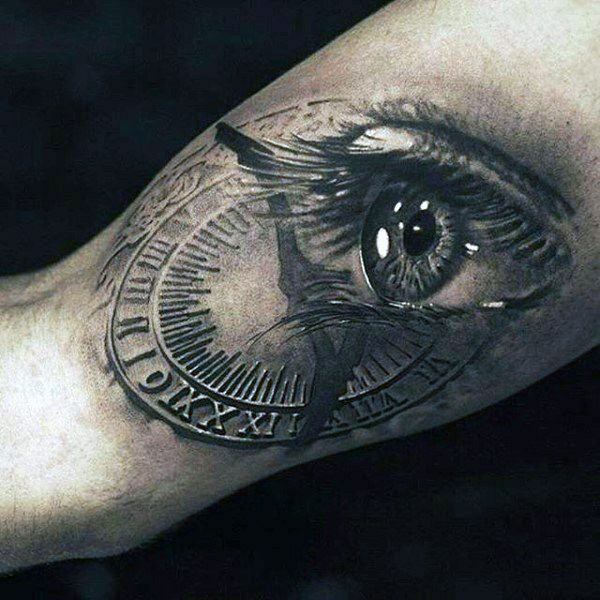 This extraordinary tattoo is so realistic that you can see the wetness of the eye. It looks more like a photograph than anything else. 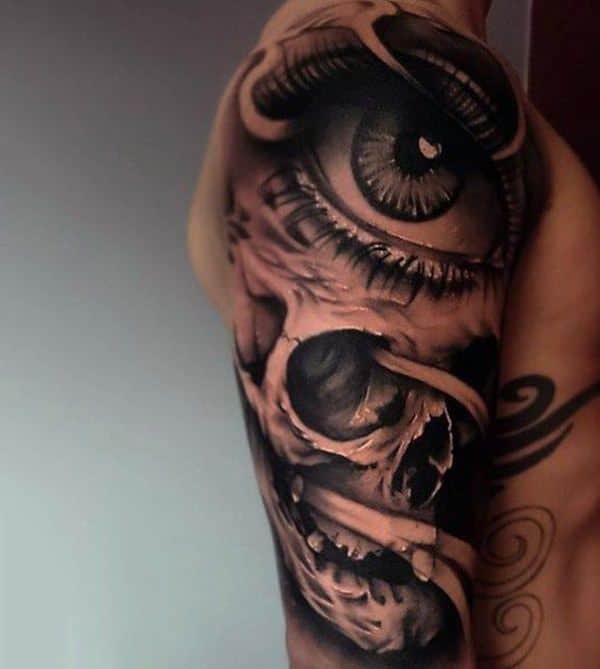 This skull design looks really awesome because of the different elements including the unusual blue eye. 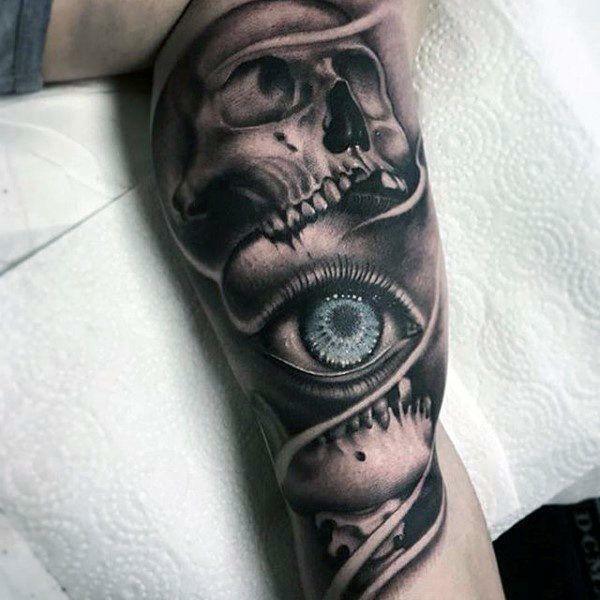 This skull has a realistic eye inside of it. 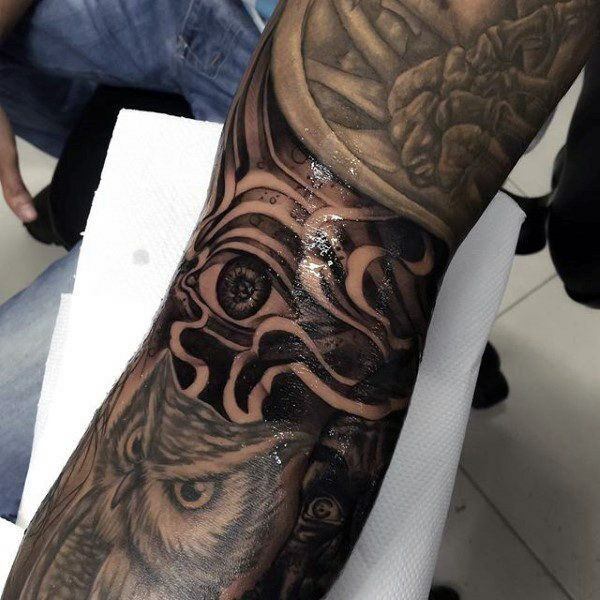 The tattoo is very detailed and has an original design. 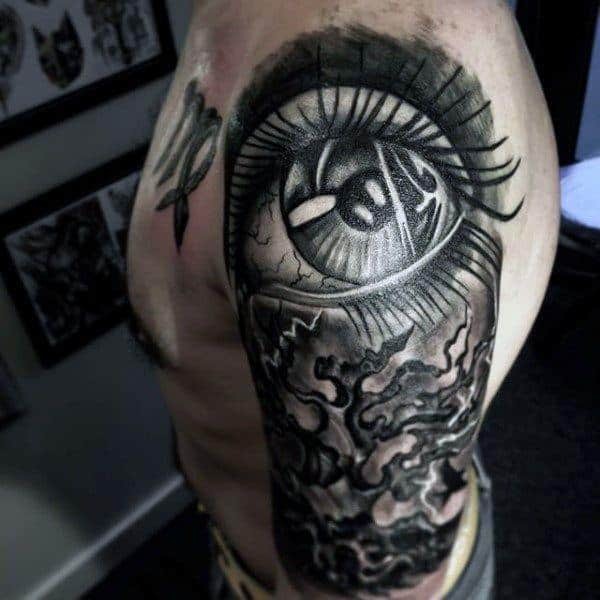 If you like creepy things then you are sure to love this creepy design of an eyeball with a person trying to climb out of the eye. 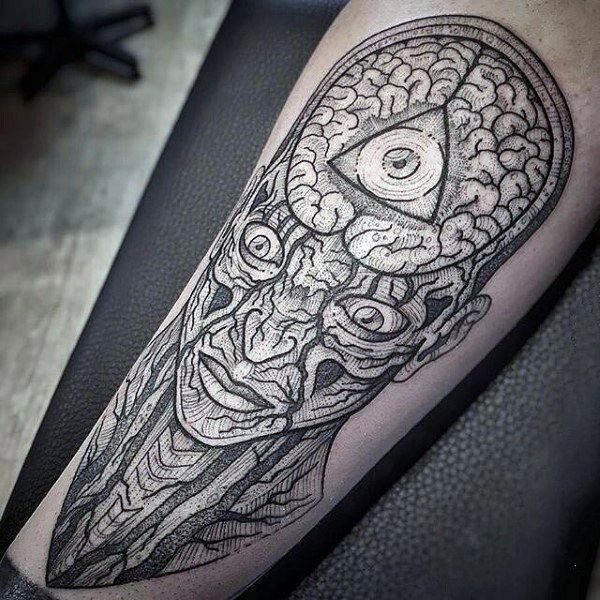 It’s a unique design that will make you shudder inside. 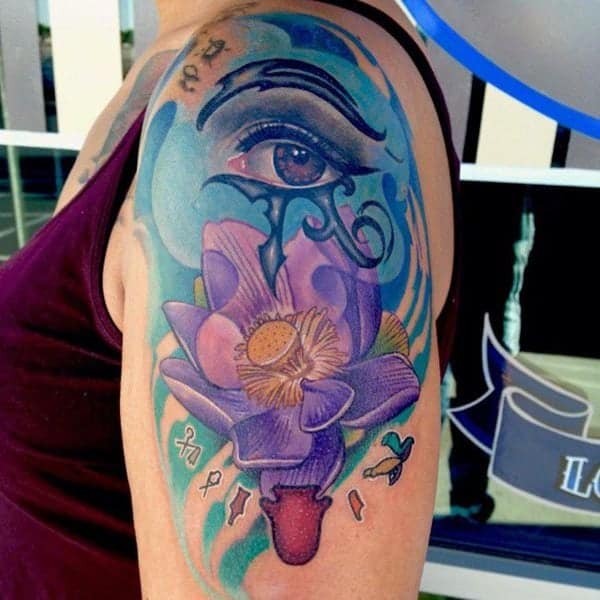 This gorgeous tattoo is quite the different design as it has an eye on the inside of the rose. 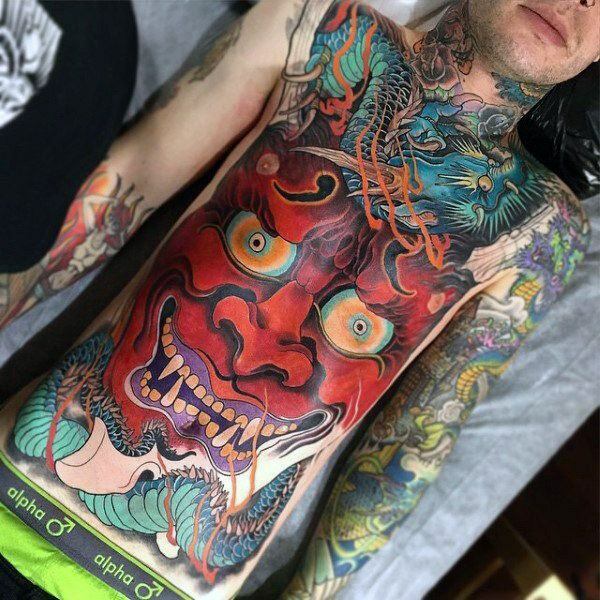 The whole front of his body is tattooed, and the biggest part is the devil with some evil looking eyes. Have you ever felt like crying? 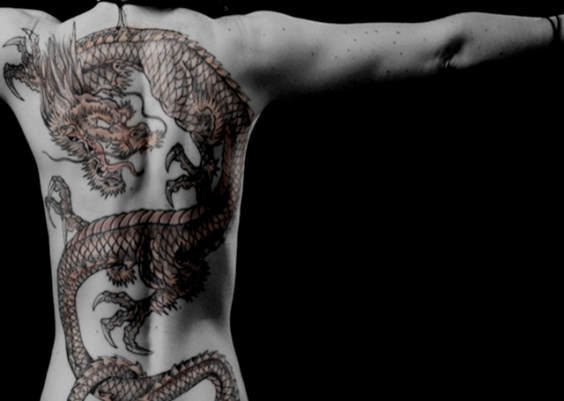 Then you can relate to this tattoo design. 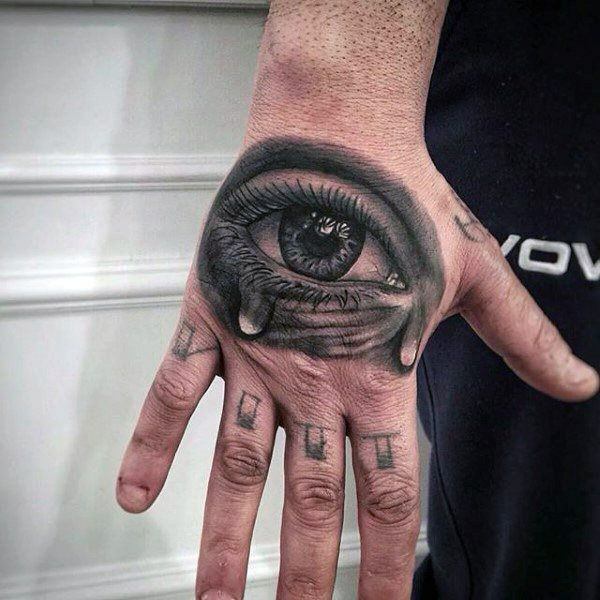 This eye tattoo shows some seriously deep emotions. 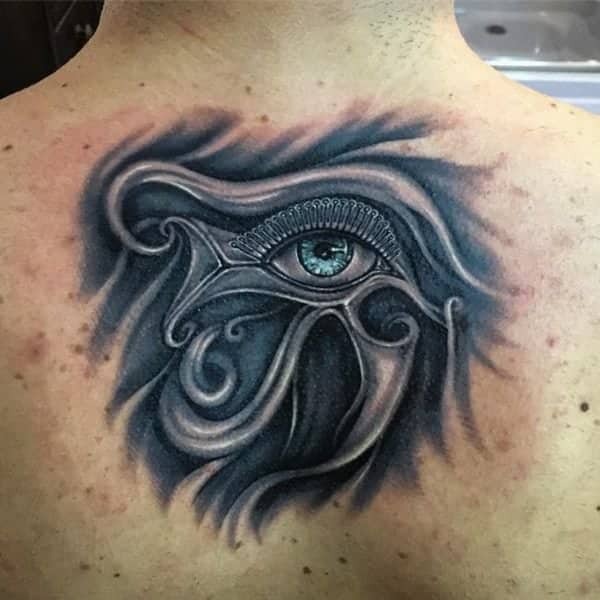 The eye tattoo is truly unique with a design on the inside. 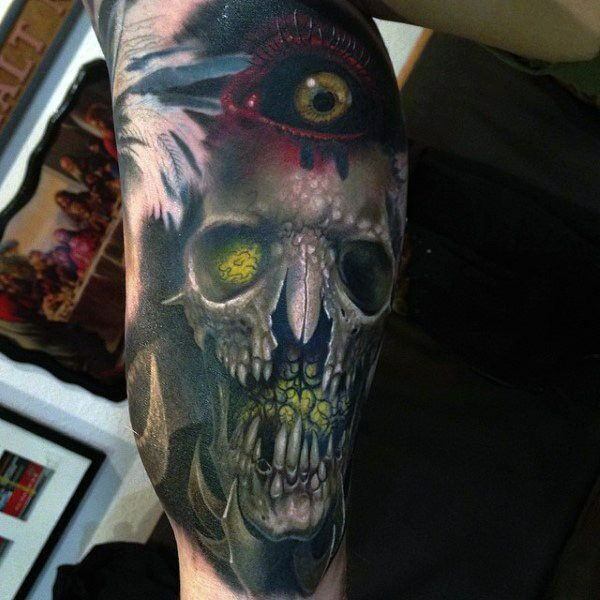 This skull is encroaching right into the eye itself. 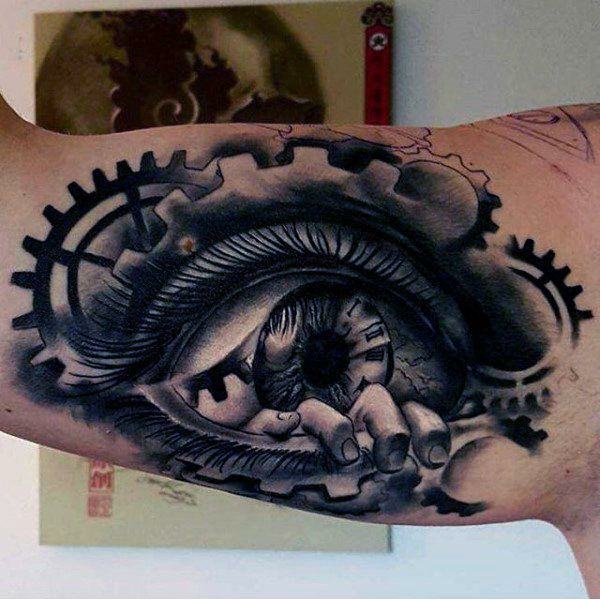 This eye tattoo is so detailed that you can see each eyelash. The eyes are absolutely gorgeous. 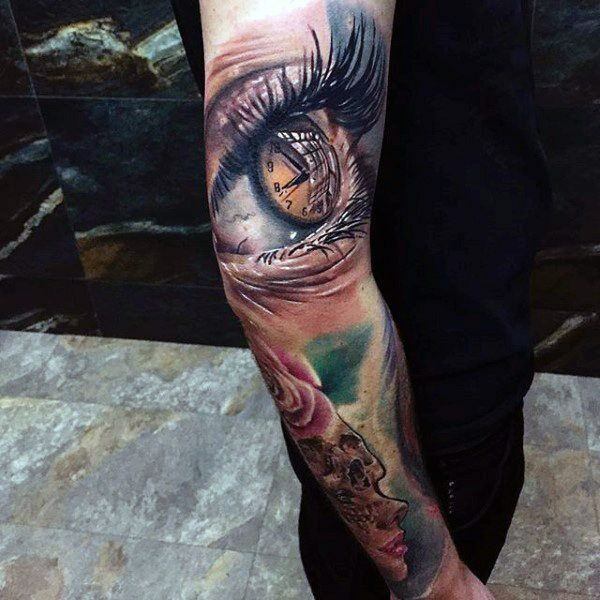 A stunning example of how you can use the eye in amongst other tattoo elements. In this case, it’s scenery. 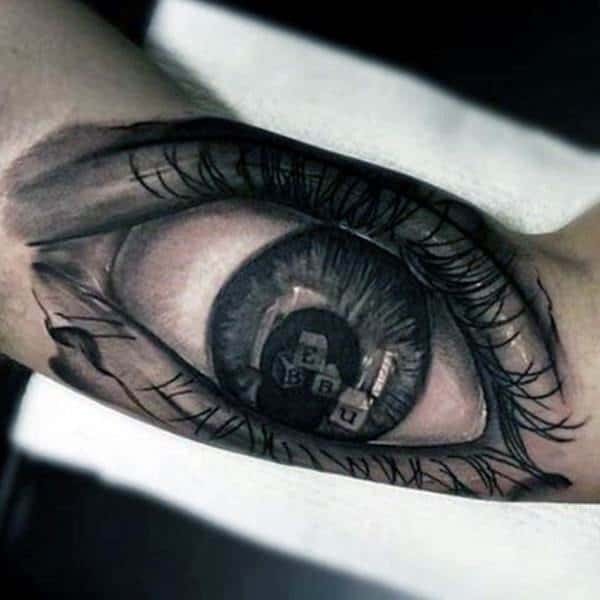 This is a gorgeous tattoo on an eye with an image on the inside. I love the fact that you can see what the person is looking at. 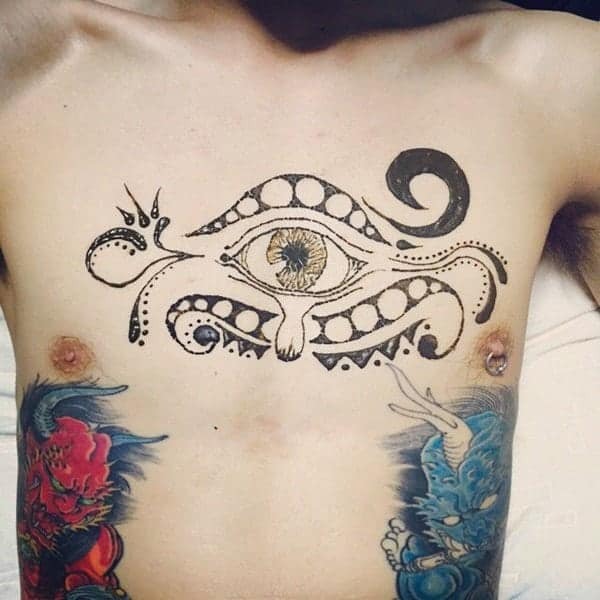 If you love sea creatures, then you are sure to love this octopus eye. I can’t get over how realistic this tiger eye looks; it’s breathtaking. 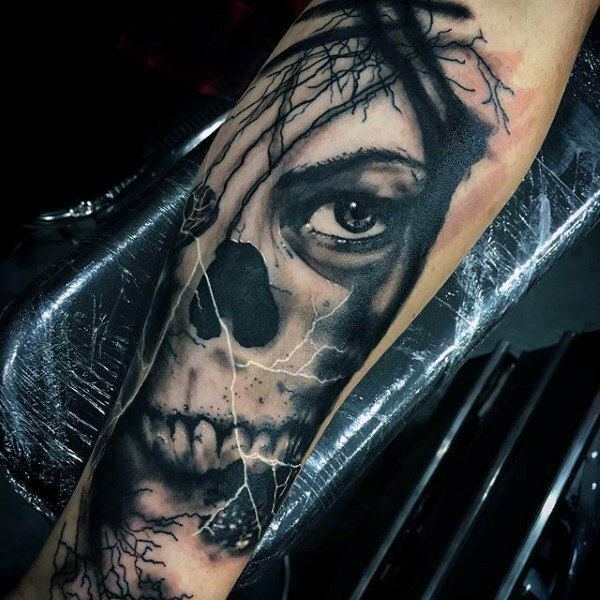 This 3D design is amazing because it looks like it is underneath the skin. An unusual image but one that you are sure to love if you like things a little weird. 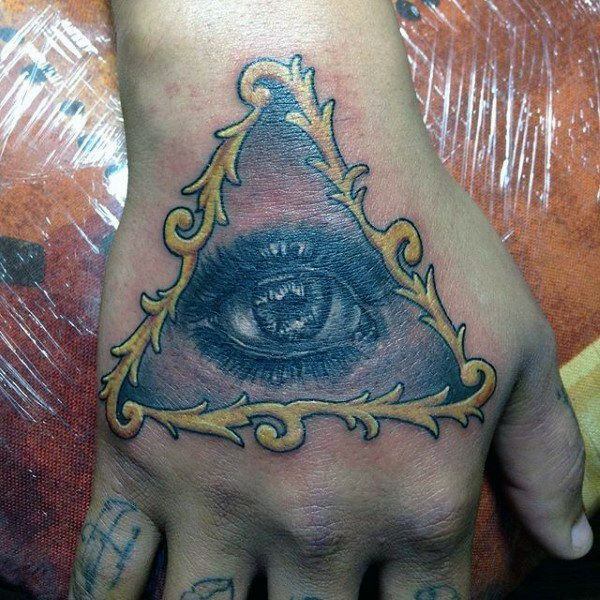 This all seeing eye is very detailed and awesome. 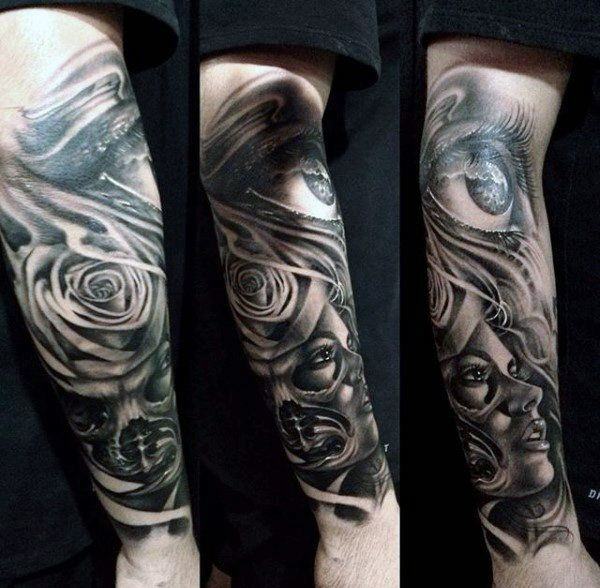 I love all the dark shading. 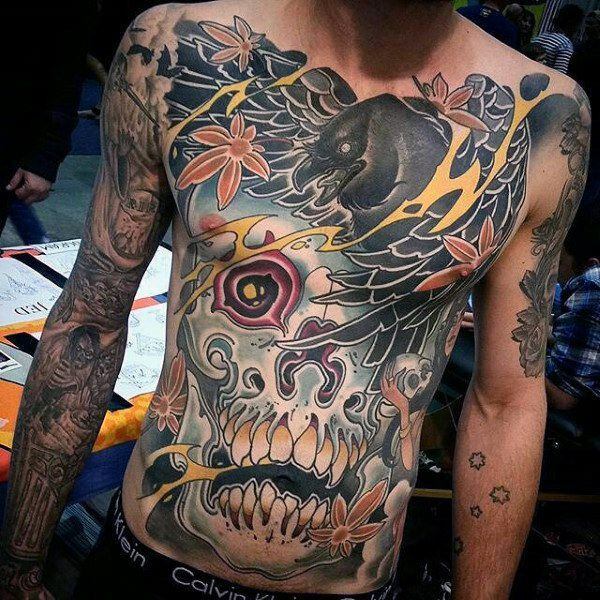 A very colorful chest tattoo with a cool image of a skull and that skull has crazy eyes. 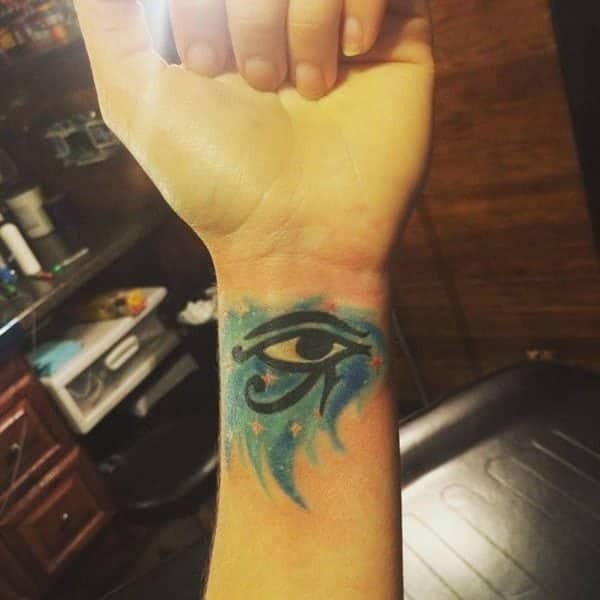 A triangle with deep blue on the inside. 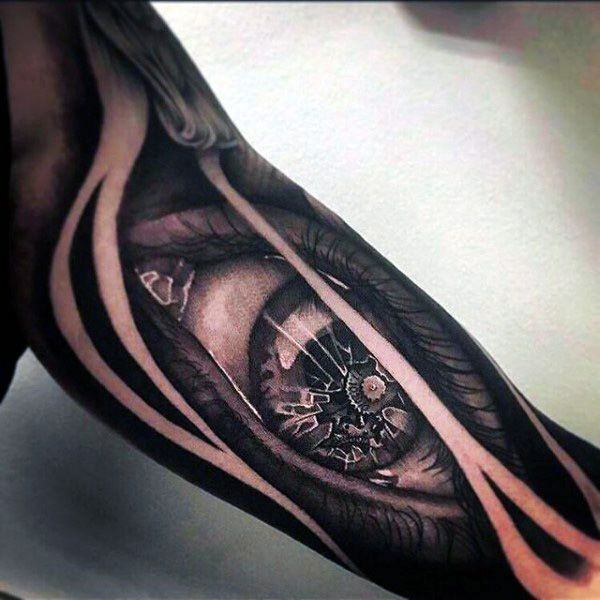 It’s a great image of the eye. 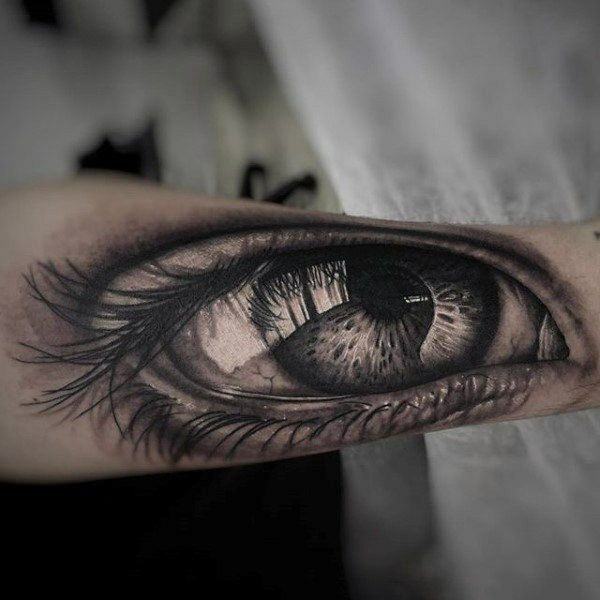 A great eye tattoo that has some seriously striking detail. 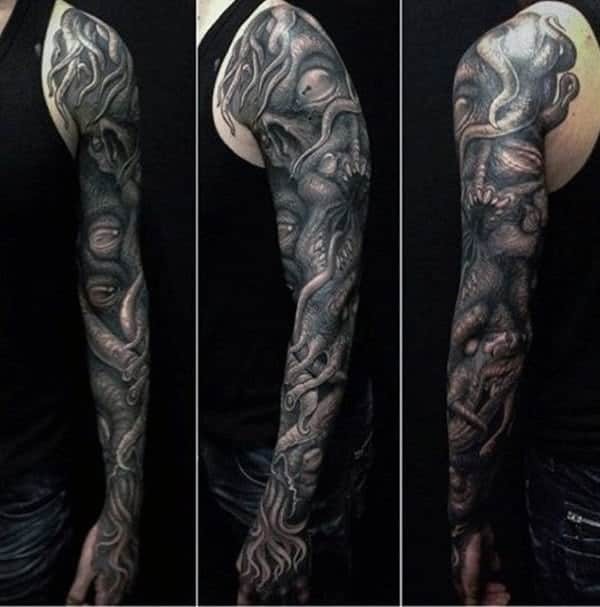 A great arm tattoo that has some serious details. 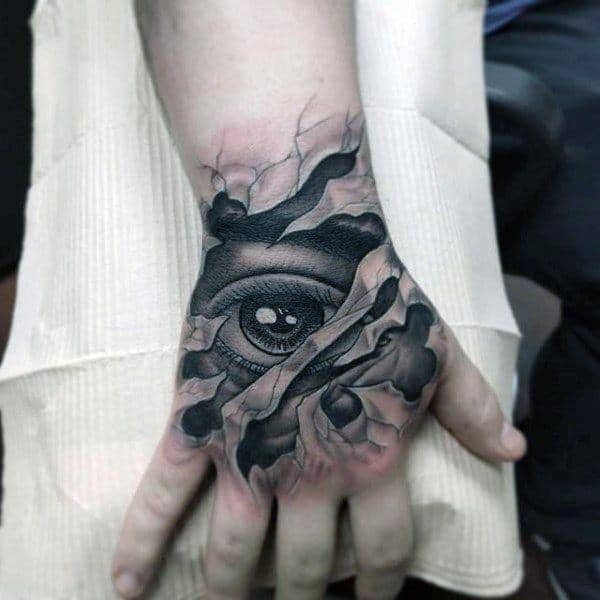 I love the striking darkness involved here and the fact that there are people on the inside of the eye. Deep blue colors that look marvelous on the shell. At first glance you think it’s a human eye until you see the pink shade of a snakes eyes. 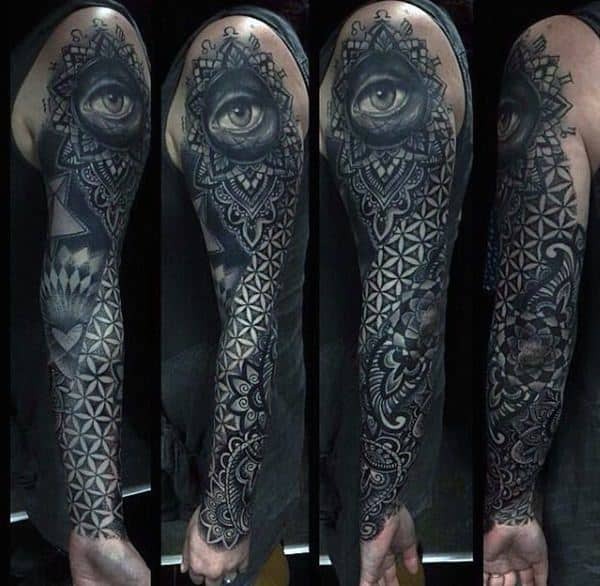 It’s a badass tattoo design. 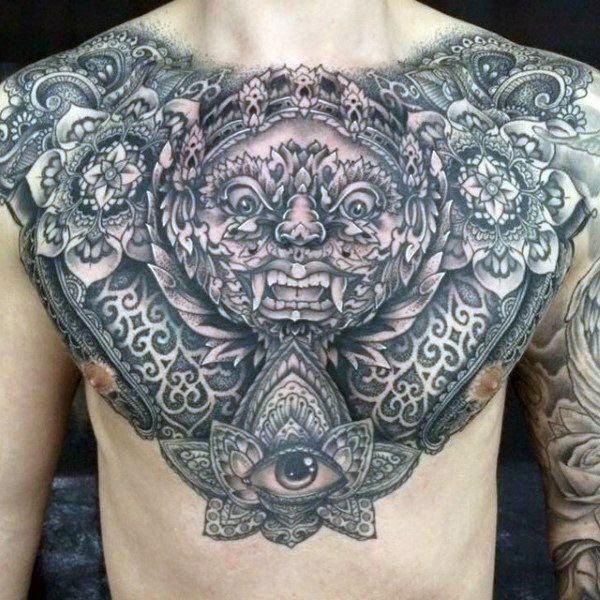 A great design that has some ornamental elements. It’s an unusual design. 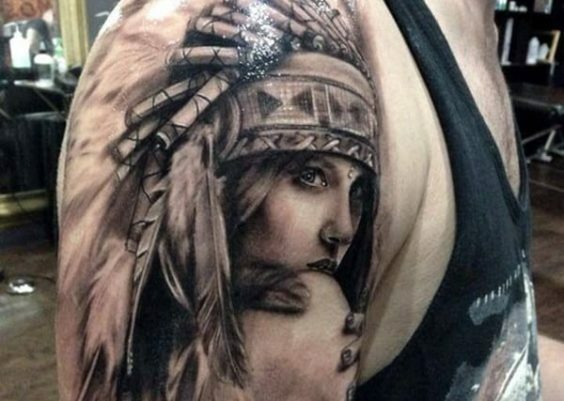 This great arm tattoo is stunning because it looks so real. 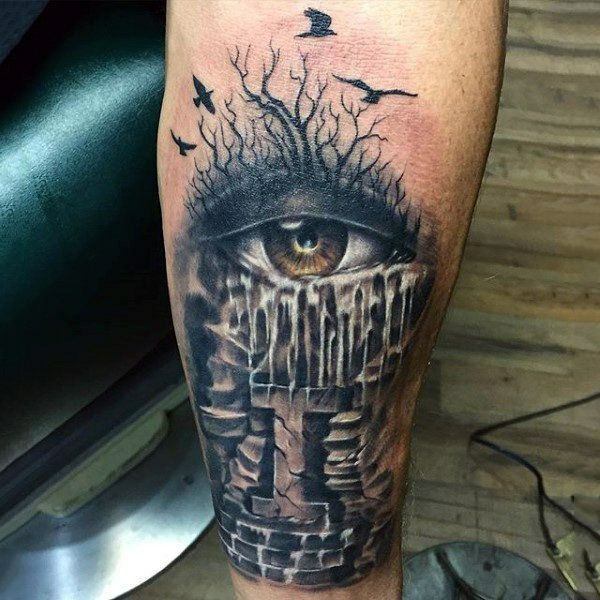 I love that you can see the forest inside the eye. 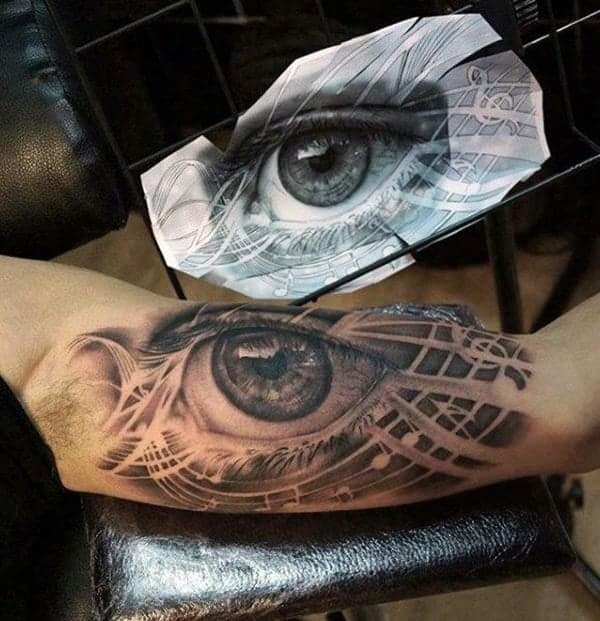 Reflection tattoos are awesome. 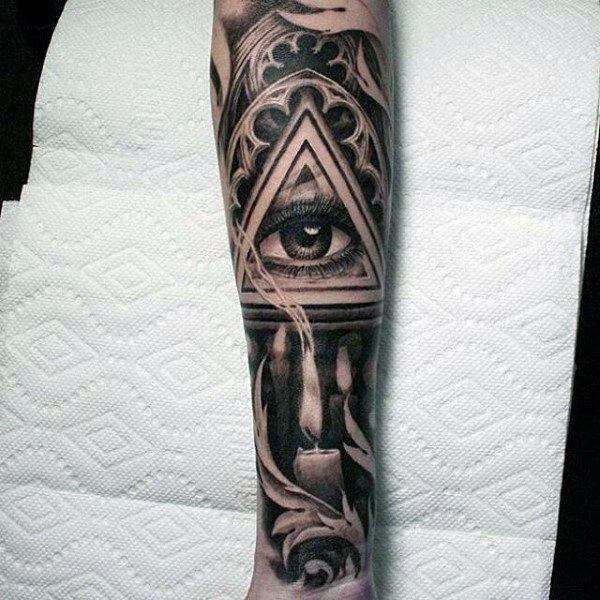 A great tattoo if you are looking for something simple. 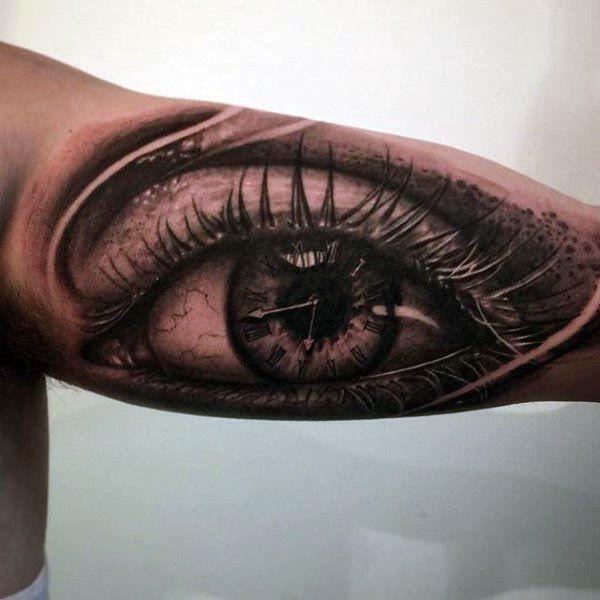 This unusual eye is truly remarkable because it is original. 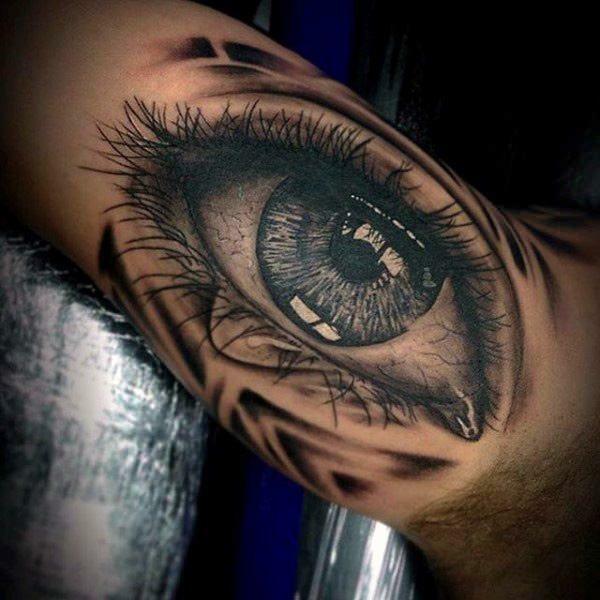 Another example of a crying eye and this one shows some deep emotion in the eye. 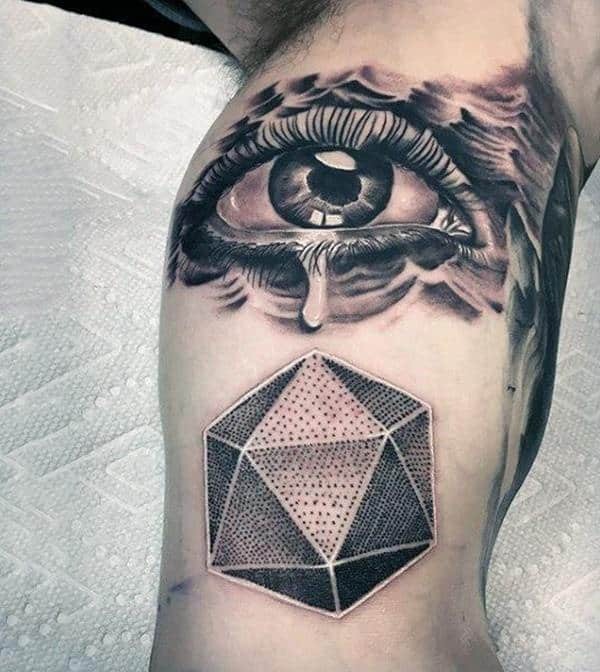 A great but unusual design that shows the reflection of blocks in the eye. 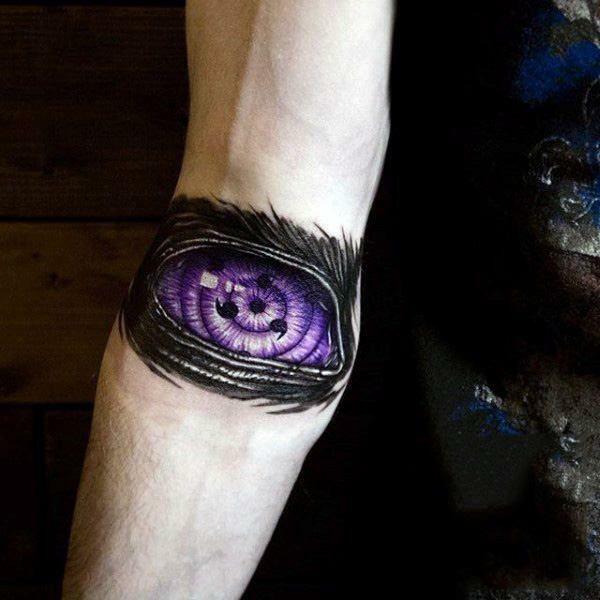 If you are looking for an eye tattoo that has some darkness to it then look no further than this creepy eye. 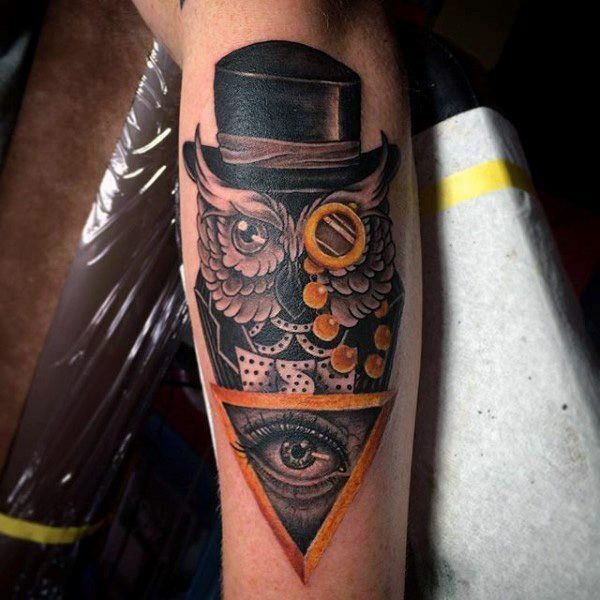 A great tattoo design that you are sure to love because it’s very creative. 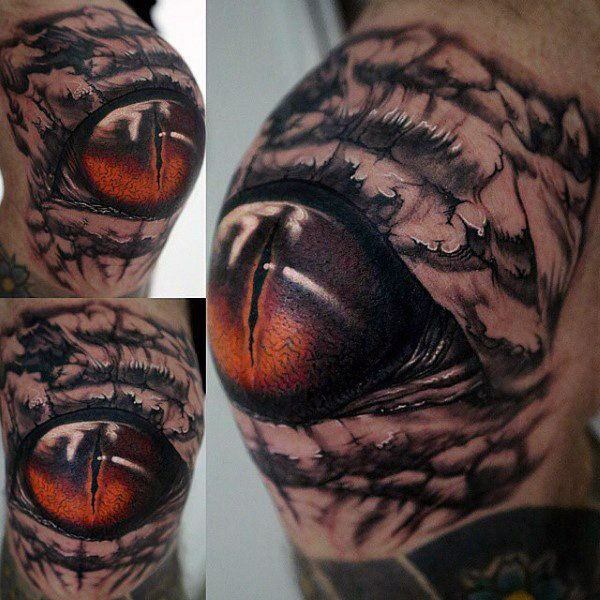 This sea creatures eye is very badass, and this is a tattoo that you could never become bored of. 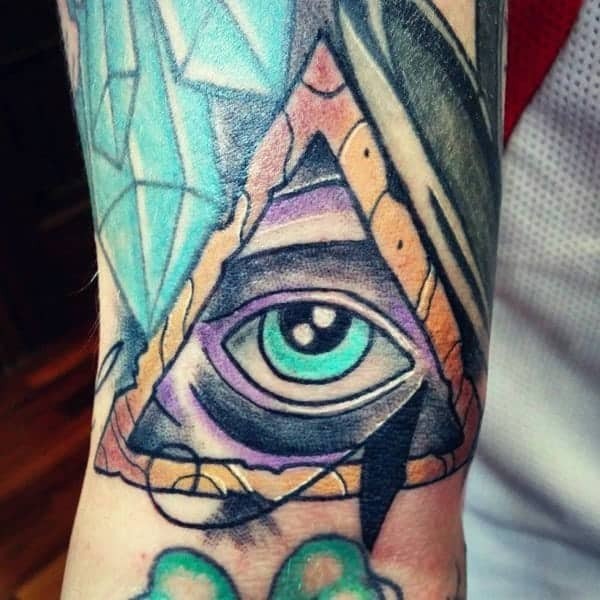 This is definitely one of the more mysterious eye tattoos you could get. 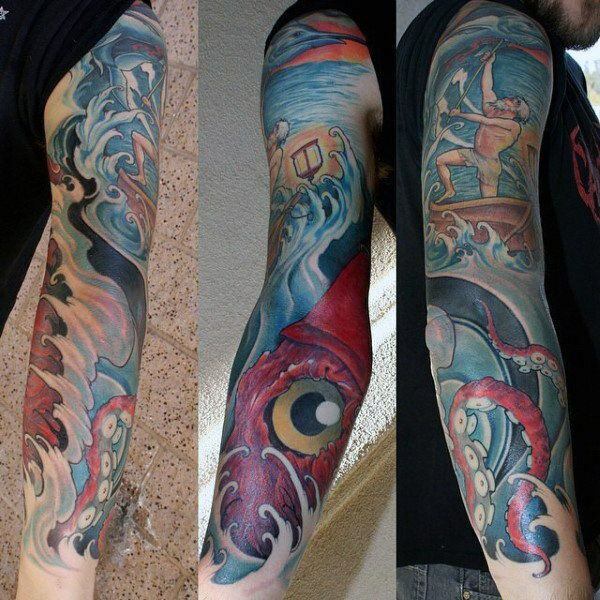 An awesome sleeve design that is truly creative. 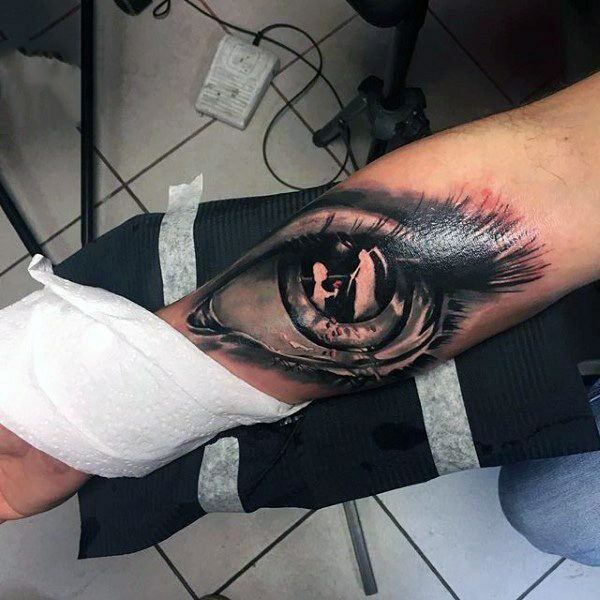 A detailed eye that looks as if it’s crying ink. 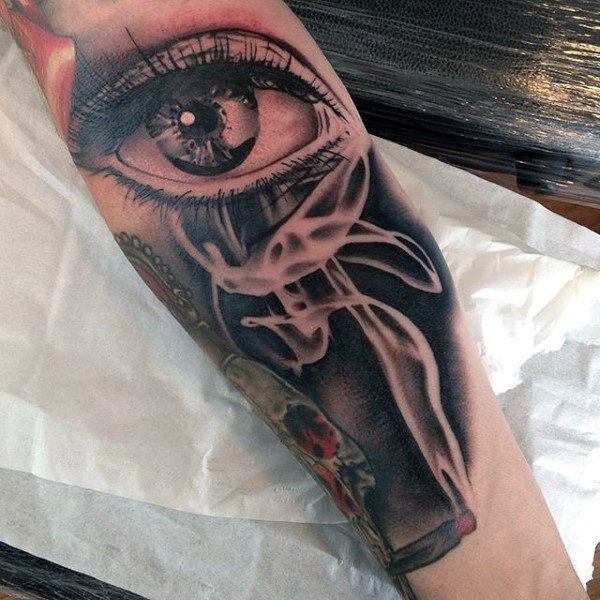 A great eye that has some creative details and a bit of smoke. 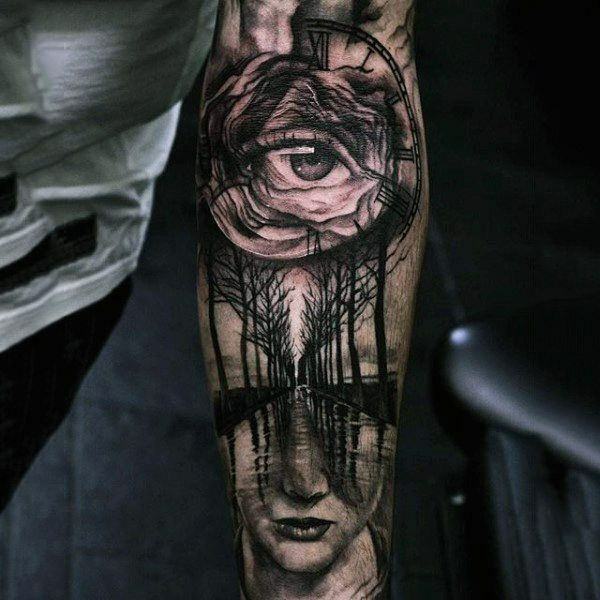 A seriously gorgeous tattoo that has dark black shading. 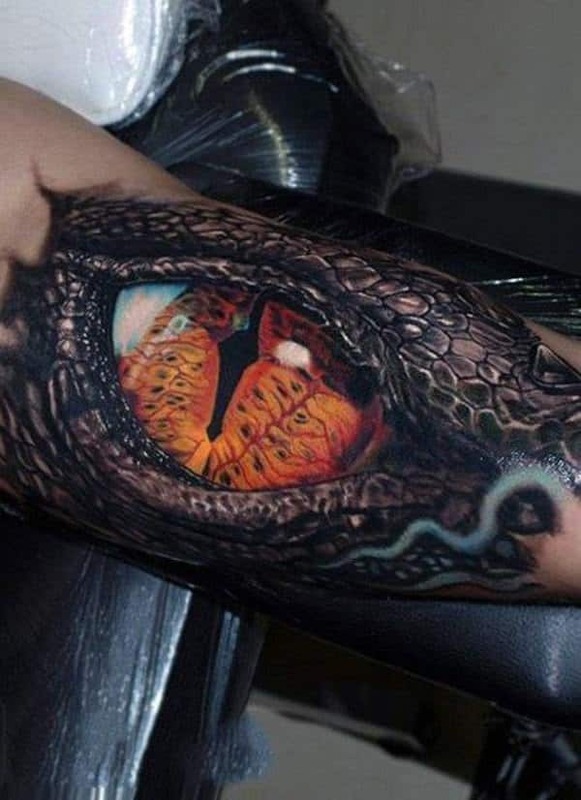 If you want a dark tattoo then this might be the one for you. 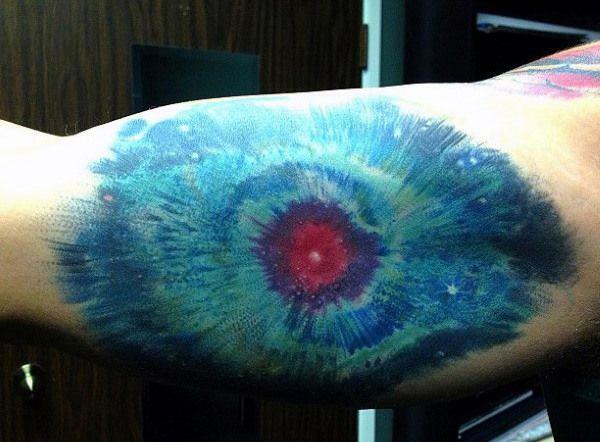 An arm tattoo that is amazing because of the color and detail. It’s gorgeous. The third eye is in the brain directly in the middle of the forehead. This reflection looks like it’s at the beach with someone walking down a dock. 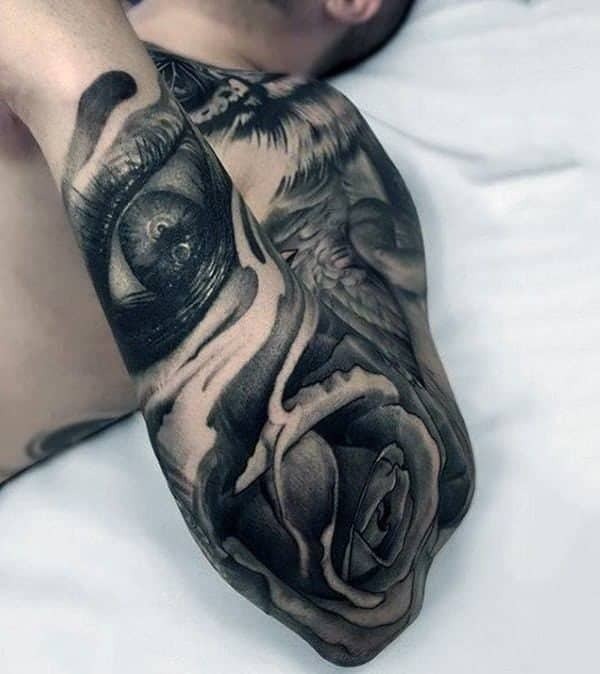 A great tattoo that is detailed and pretty cool looking. 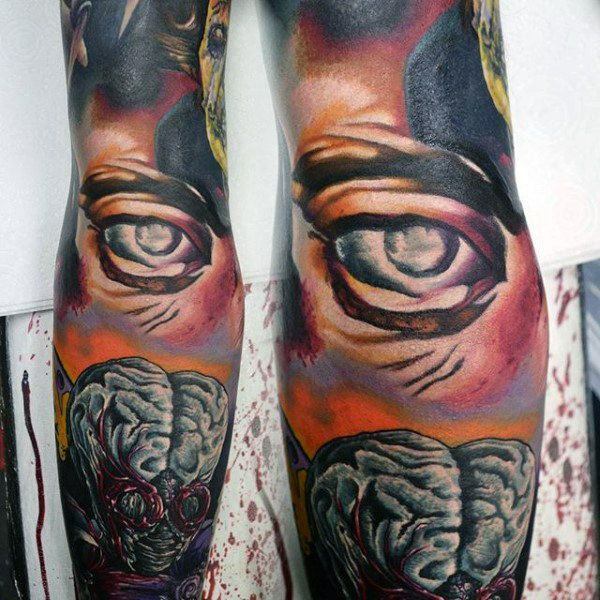 A great tattoo with a wide open eye, the eye itself looks so curious. 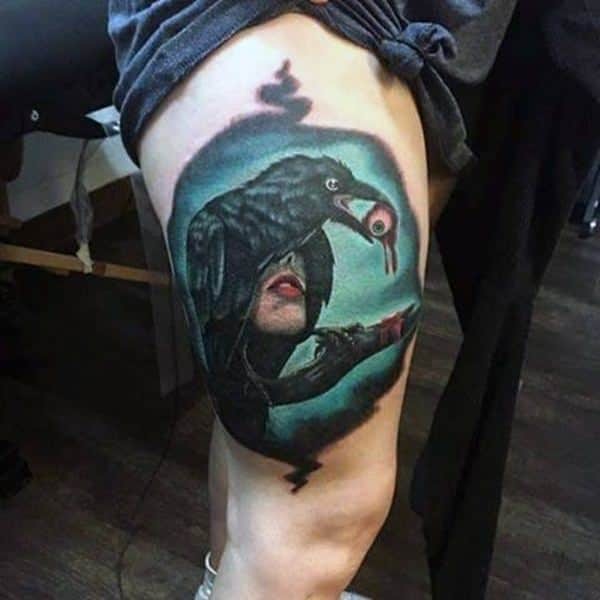 This gorgeous tattoo is truly one of a kind. 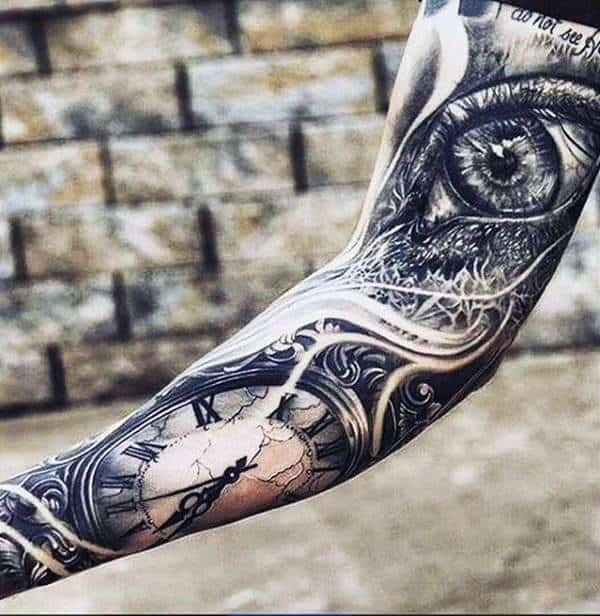 There is so much detail involved and I love the association of time. 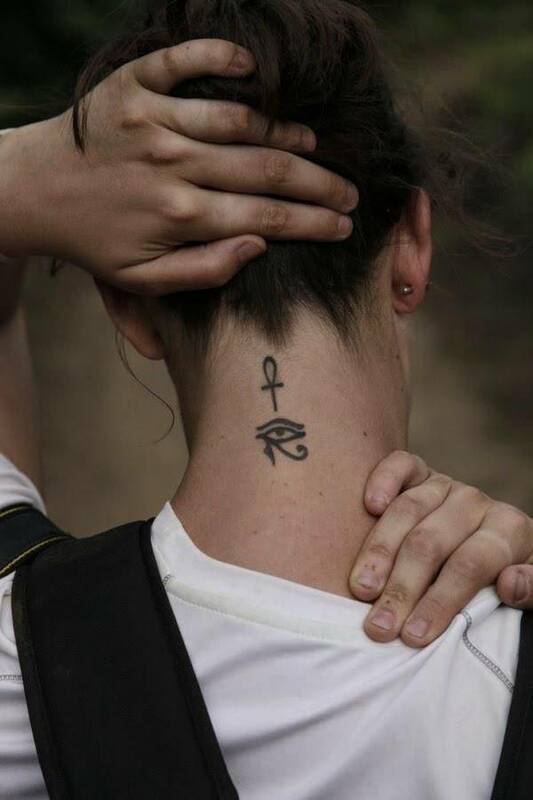 A great tattoo that is a bit unusual but totally cool. 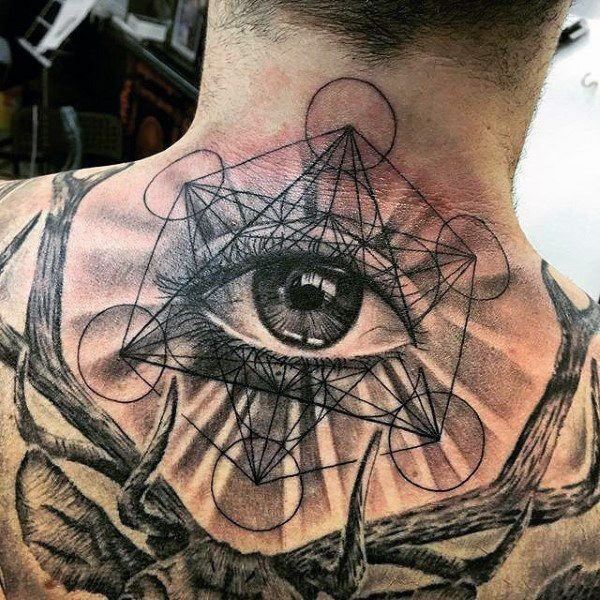 This tattoo is truly mesmerizing; we can’t stop looking at it. These colors are truly amazing and bright. 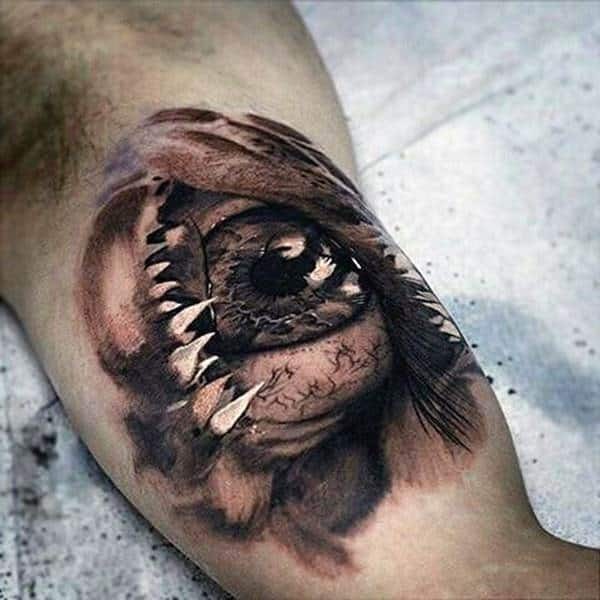 A cool design that is very detailed and it includes an eye with some sharp teeth. 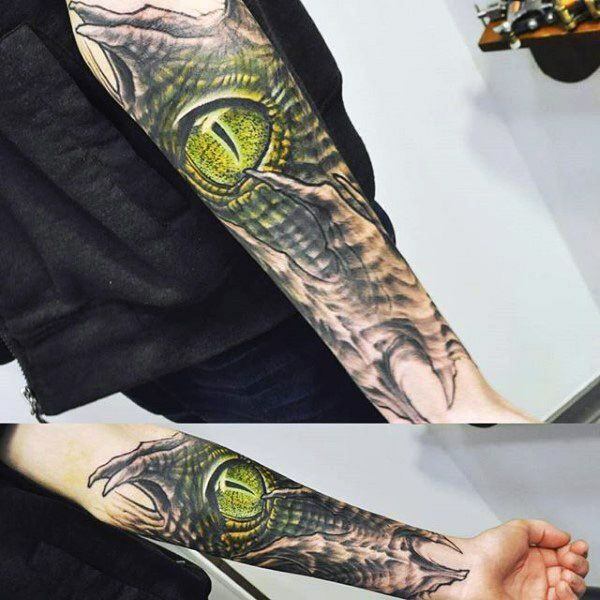 This reptile eye is so detailed that it looks like a photograph. 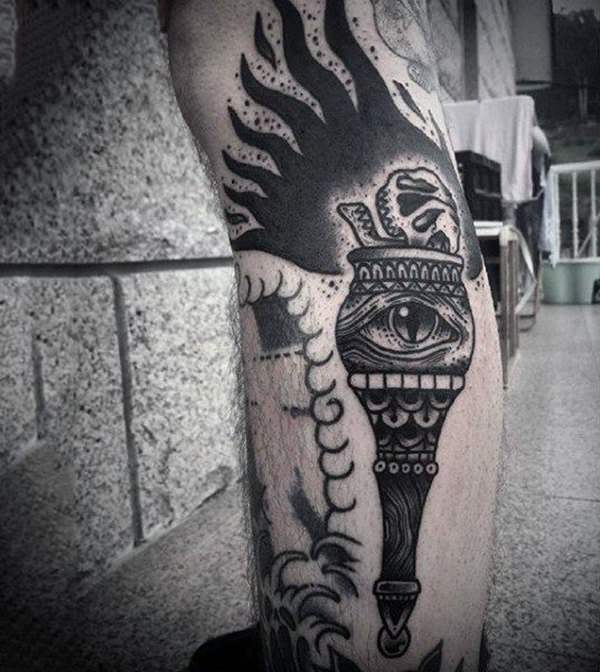 A very dark tattoo for those that love a little mystery. 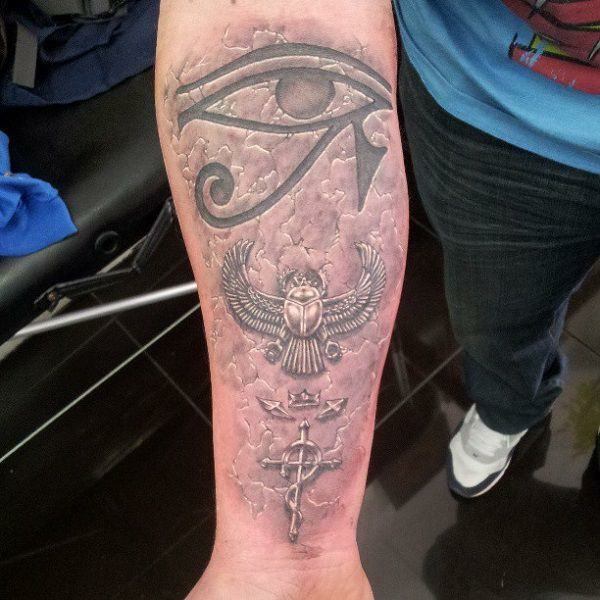 An original design with many different eye concepts. 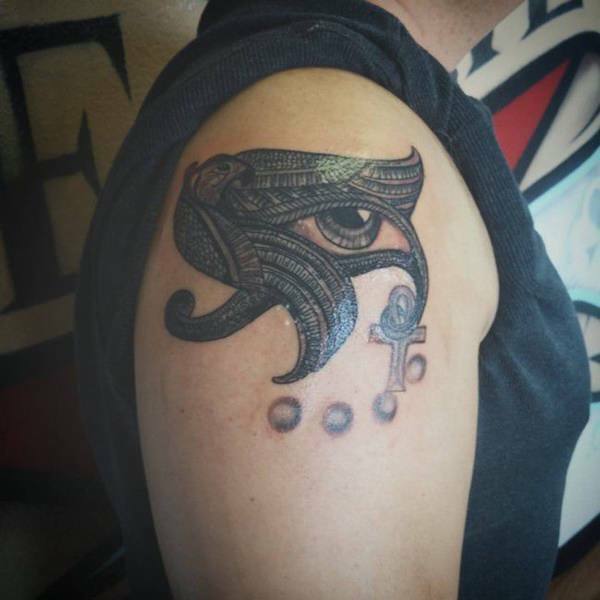 This dark design has a crow eating a human eye! Now that’s creepy. 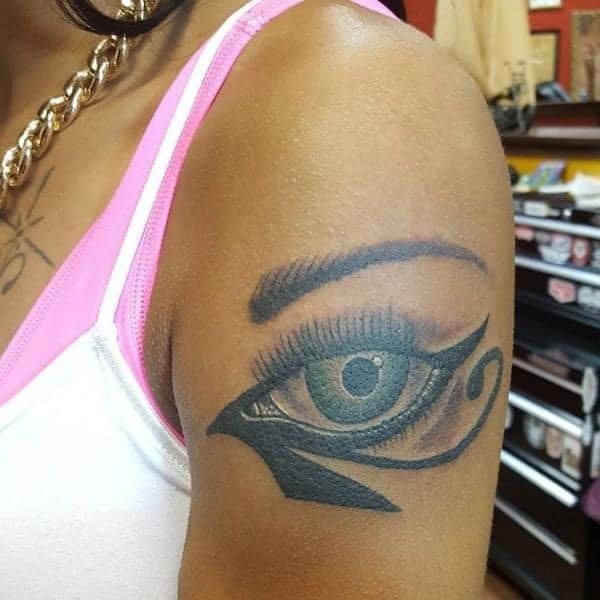 A simple design with a green eye. 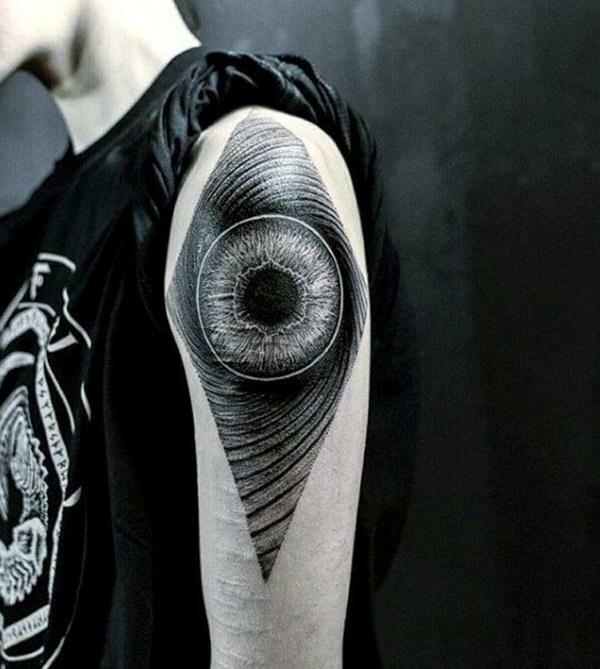 A creative and dark expression of the eye. If you are looking for a unique design, then look no further. I love the beautiful lashes in this design. This is one intelligent owl. 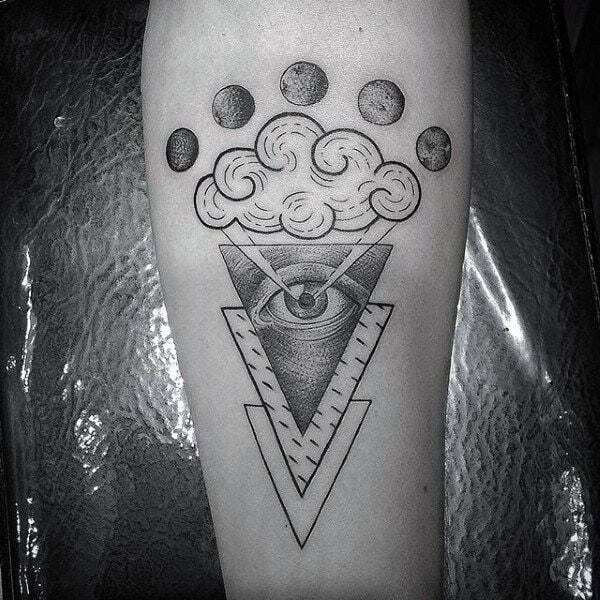 This tattoo is very wistful as if the person is dreaming. This puzzle has a dark side. 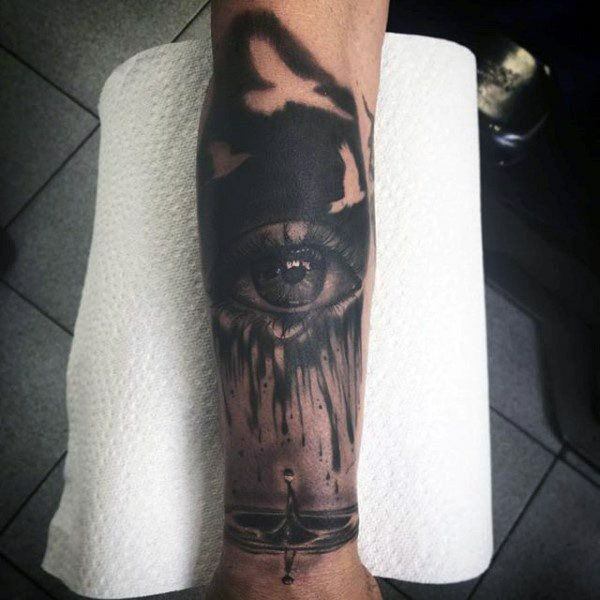 Another example of a reflection tattoo. 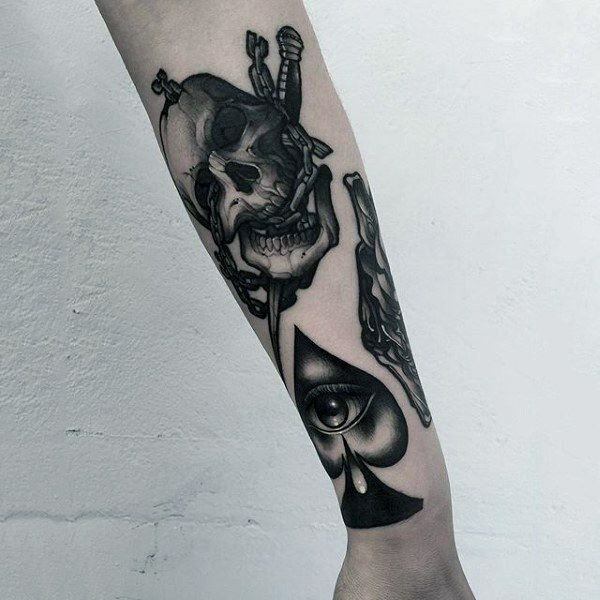 A cool design that has a spade as an element to the tattoo. 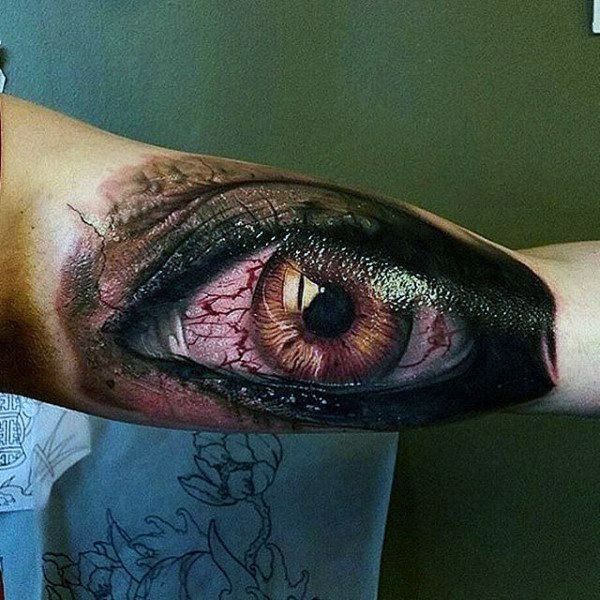 A stressed out eye with a lot of detail. 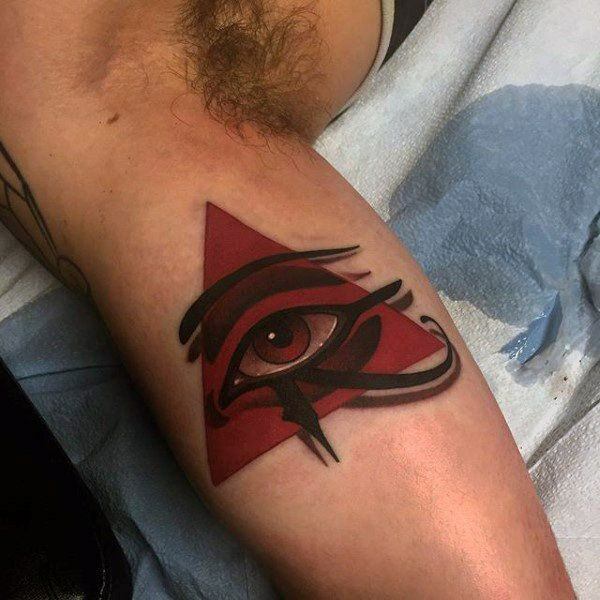 A simple design with a lot of red. 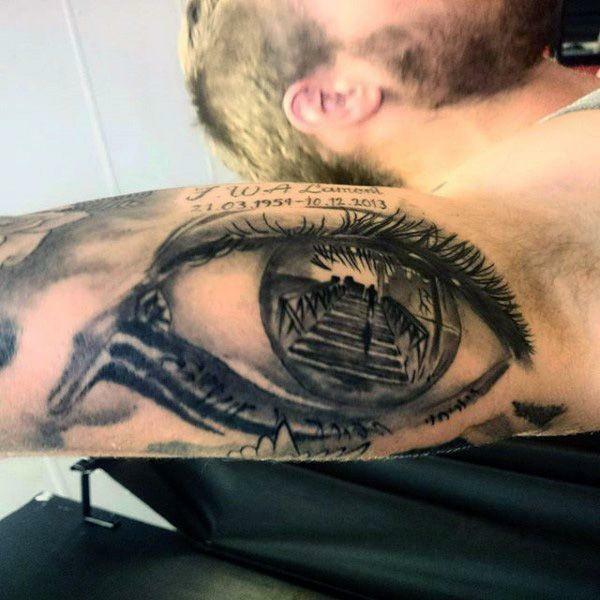 If you like tattoos that make sense, then you will love this one. 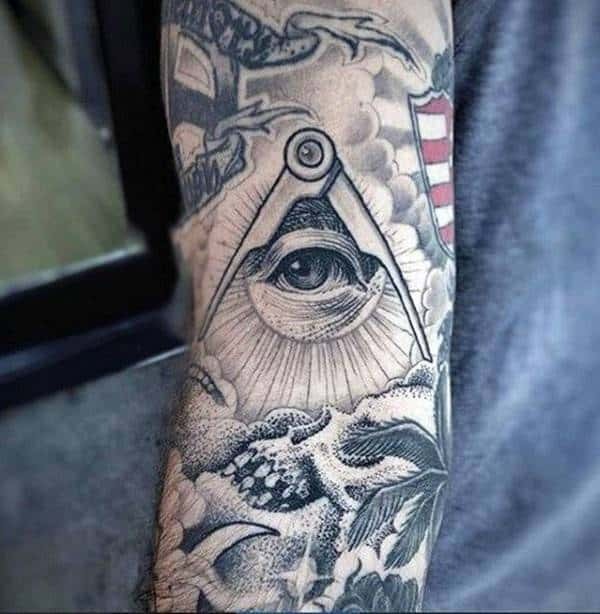 Details really make for thoughtful tattoos. These beautiful colors are truly amazing. 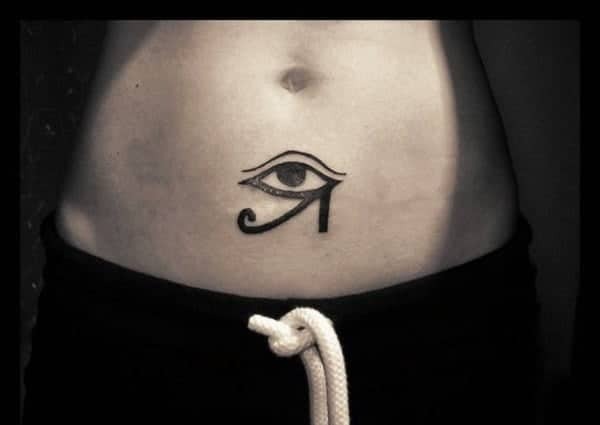 Beautiful and fun, the perfect tattoo. 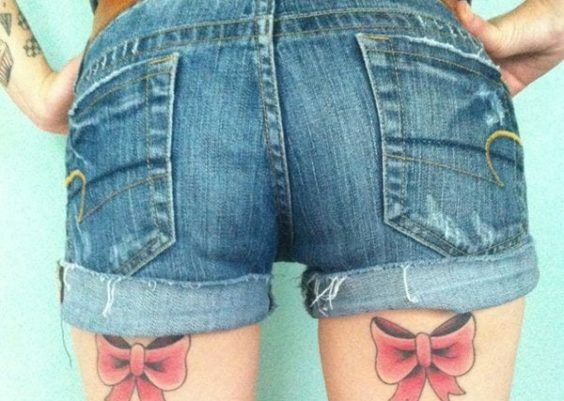 These unusual tattoos are truly original. 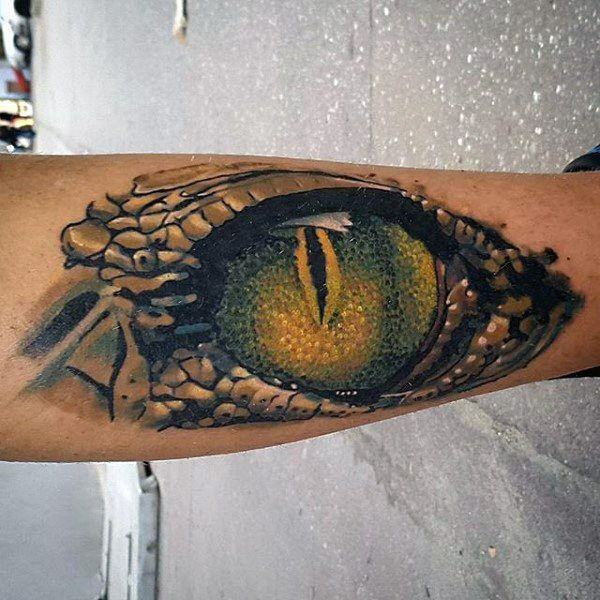 This reptilian eye is one that is really creepy. A great design that is truly scientific. 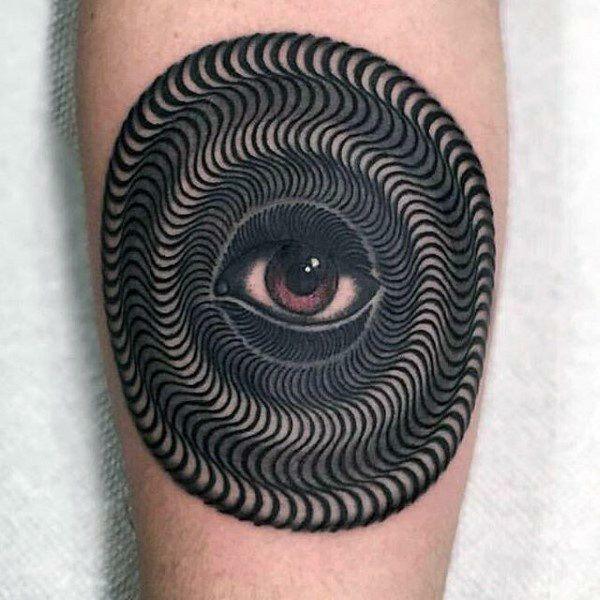 A great circular design with an eye in the middle. 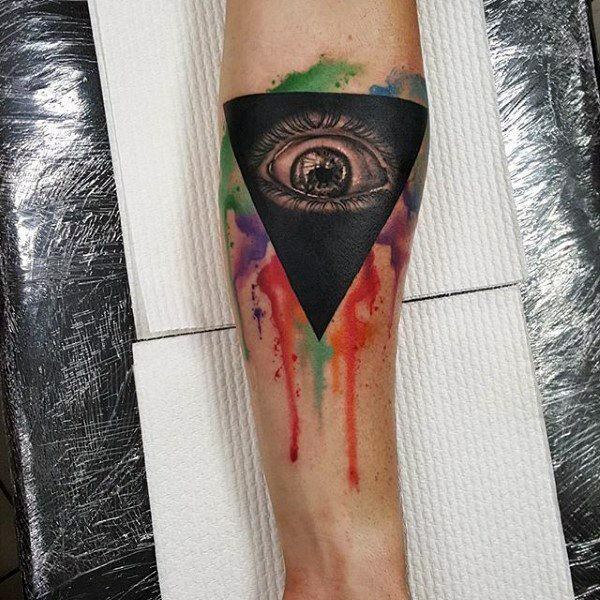 This eye has some bright painted elements to it. A great seeing eye that focuses on the weather. 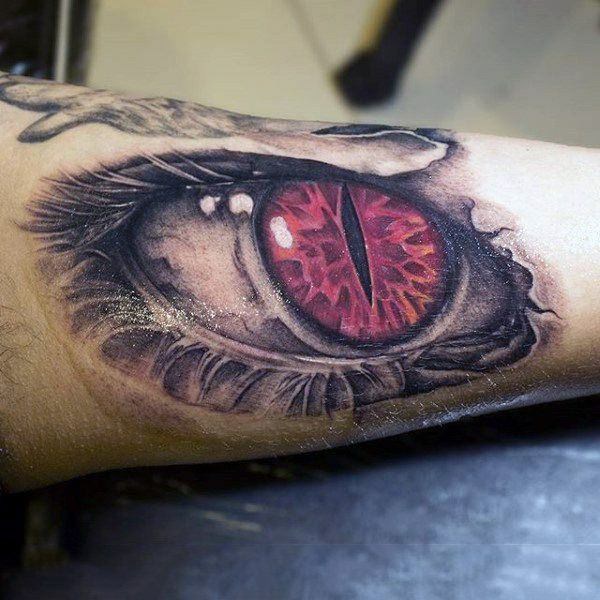 A creepy reptilian eye that is a bright red. A simple black eye that doesn’t need any detail. A great eye with a broken reflection. 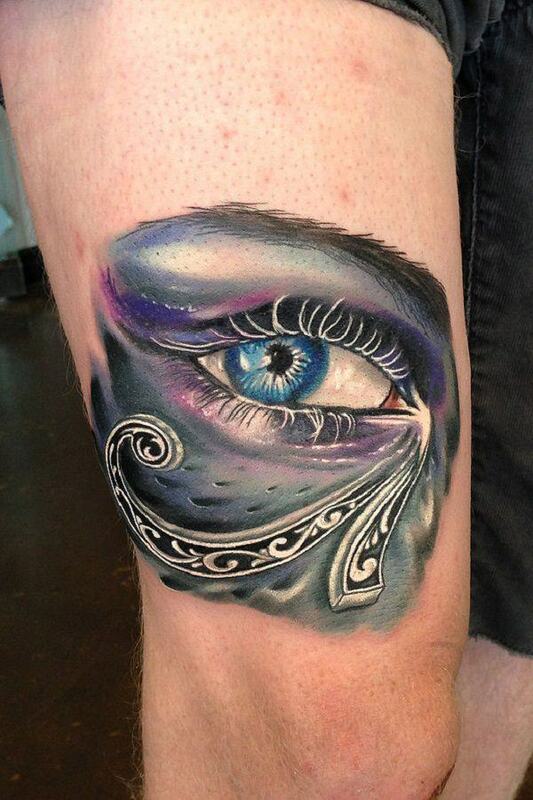 An amazing eye that is tattooed in a striking blue. 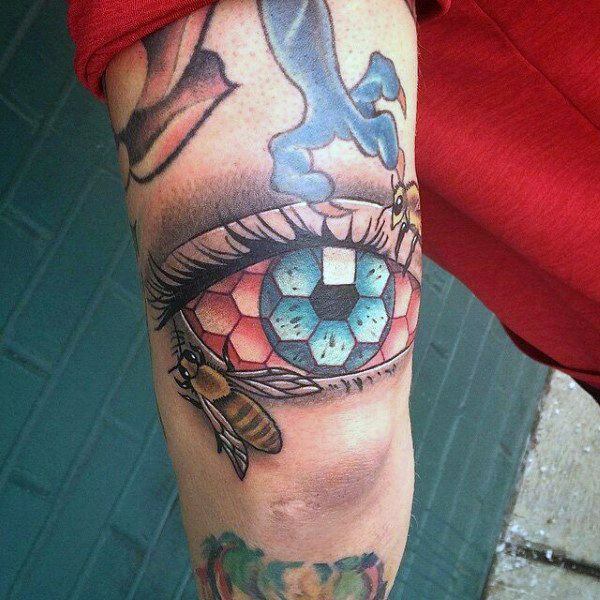 This eye is crystal clear. 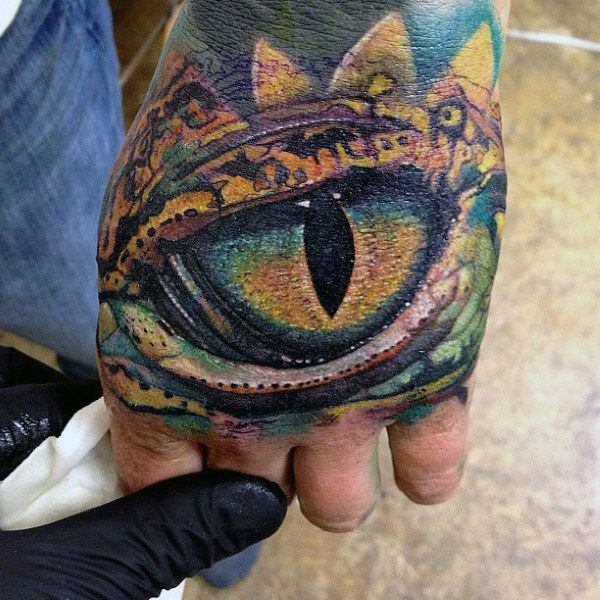 I love the colors in this tattoo they are very remarkable. 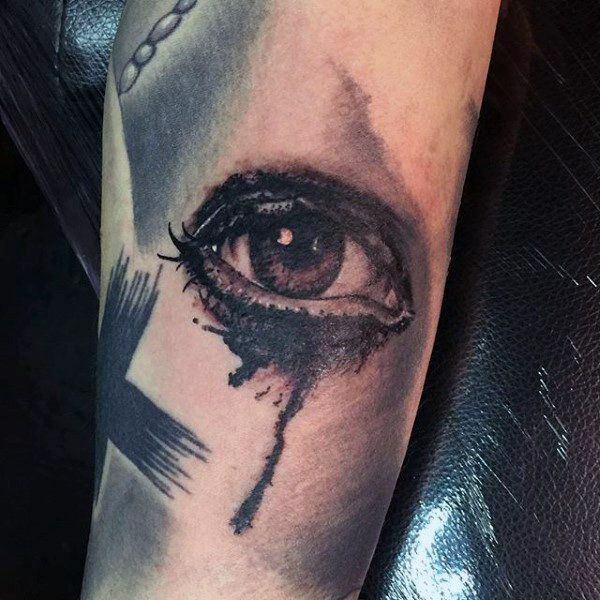 A great eye that is a simple design. A great detail design that has some splashes of paint. A detailed eye that has some unique lashes. 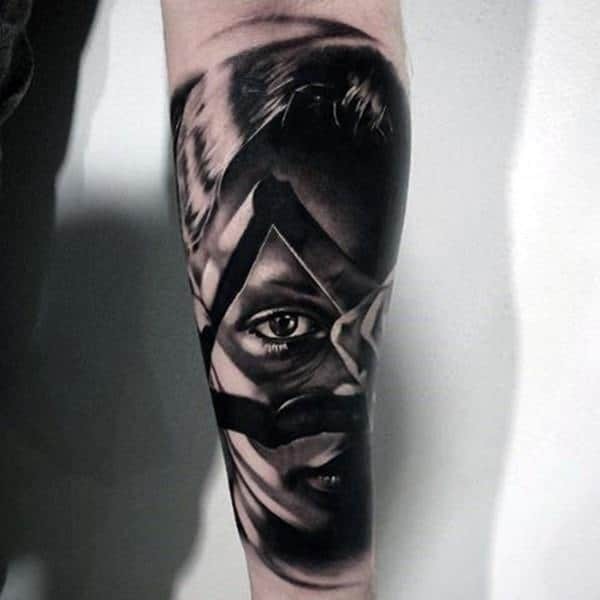 A very dark tattoo that has some deep emotions. 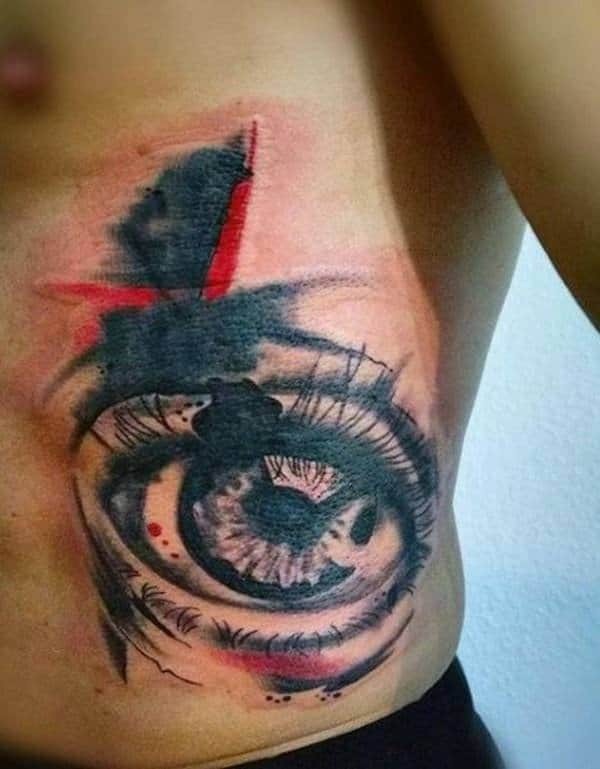 A great eye tattoo that has the Reaper hanging out. 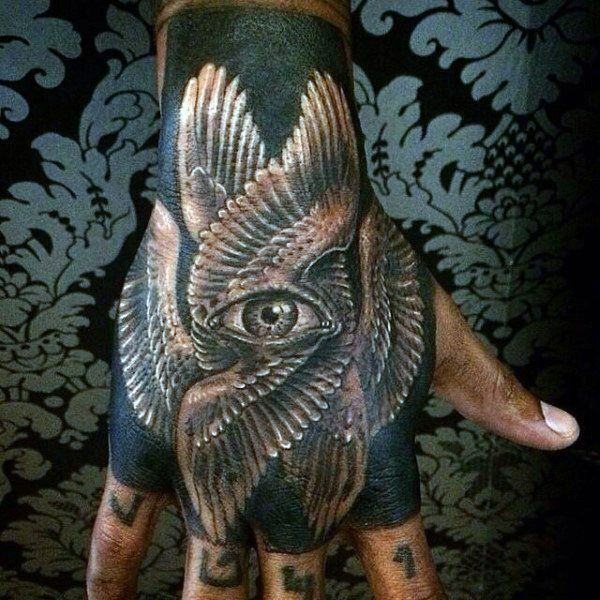 A hand tattooed with a detailed eye. 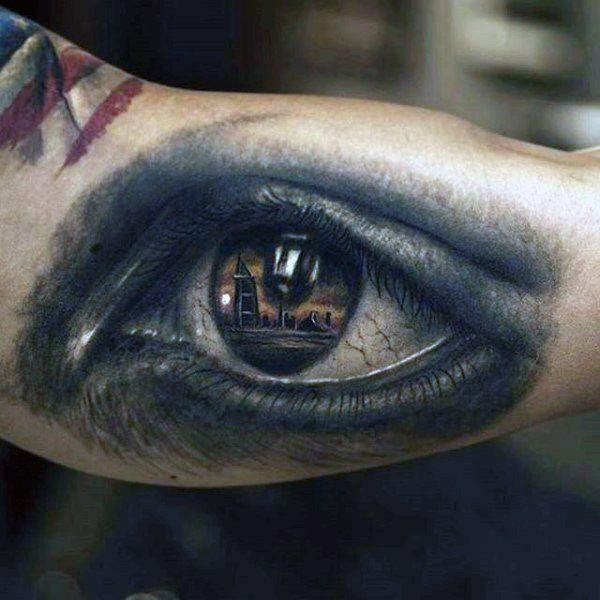 An eye straight out of a comic book. 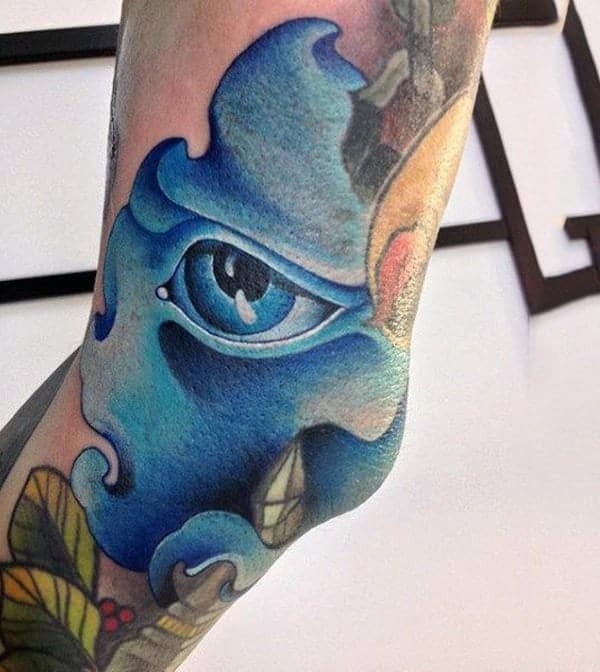 The blues in this tattoo are really amazing. 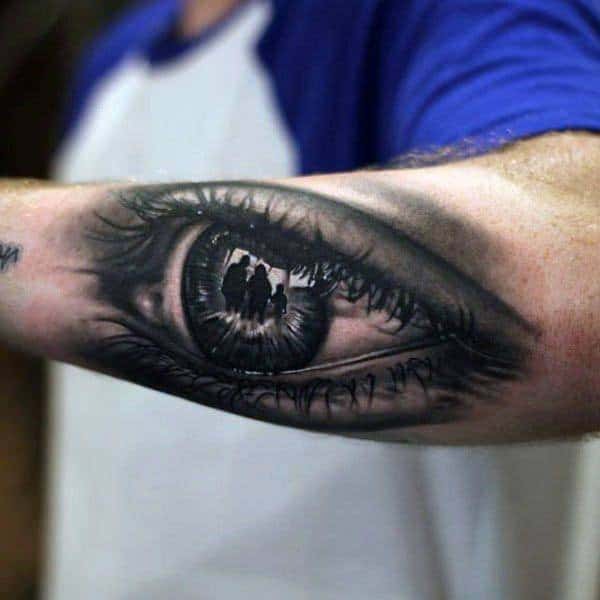 A great tattoo that has an eye that is crystal clear. 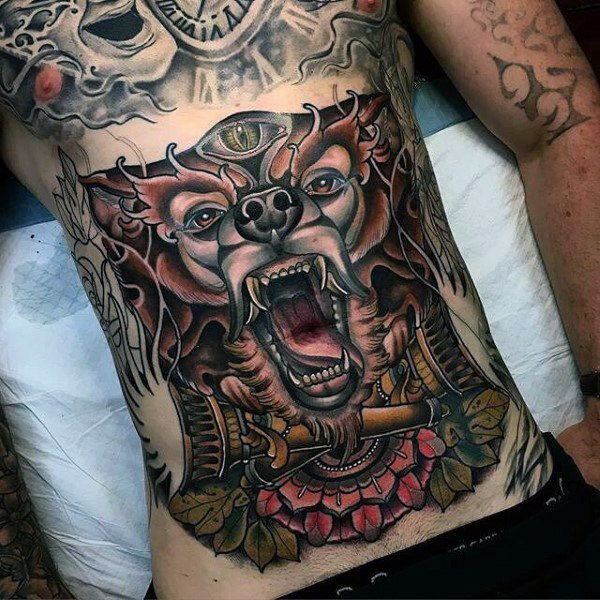 A chest tattoo that has a lot of details involved. 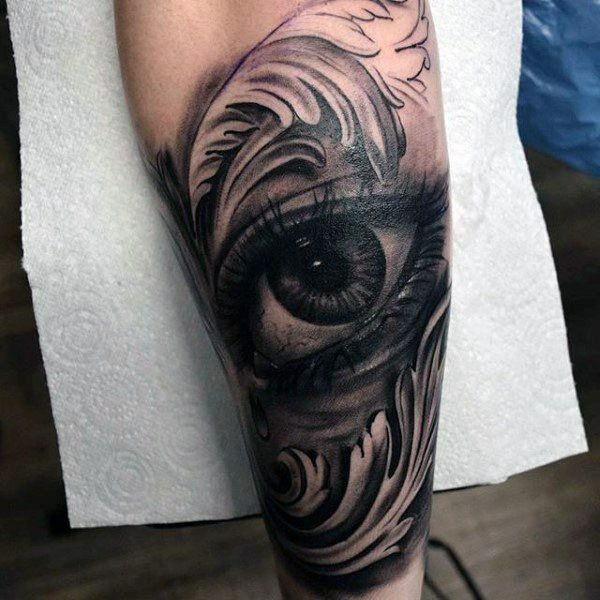 A sleeve tattoo that has a detailed eye design. 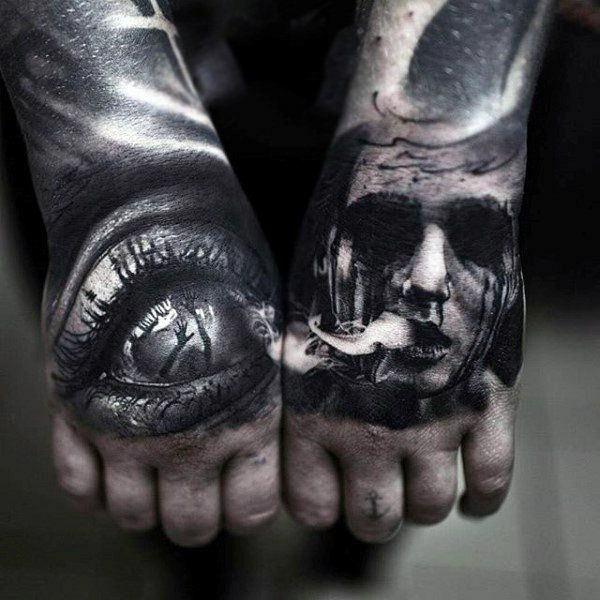 If you are a fan of horror, then you will love these tattoos. 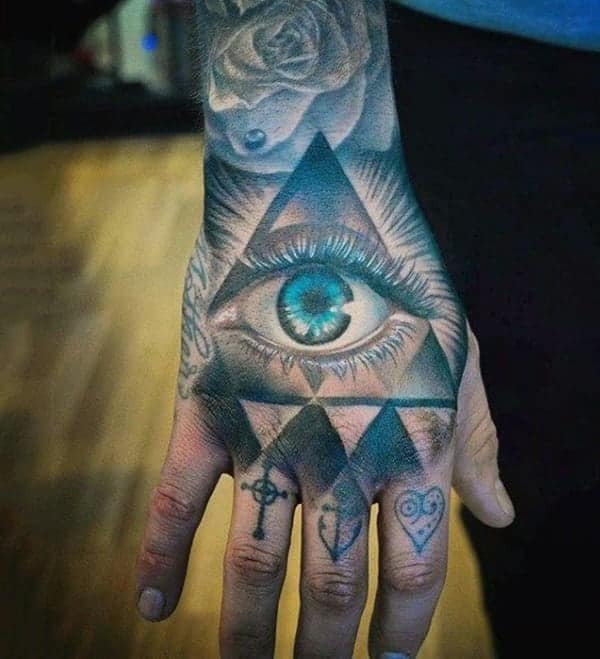 A simple design that draws the eye. A unique design with a splash of gold. 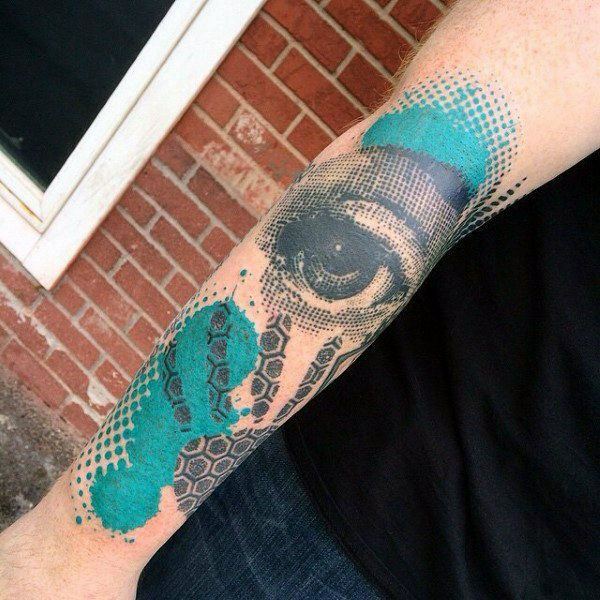 A special eye tattoo with a splash of blue. 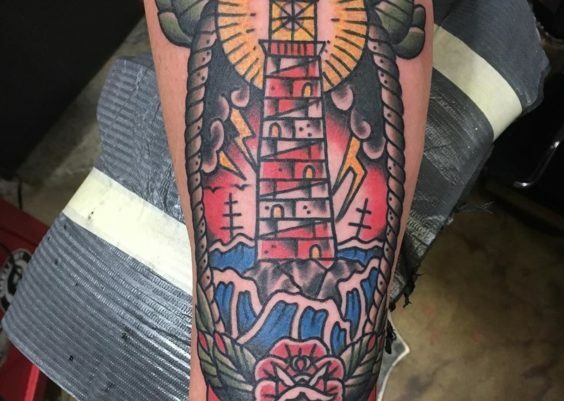 A similar design that has a lot more detail to it. If you like this popular design then add some watercolor paint to it for a new look. 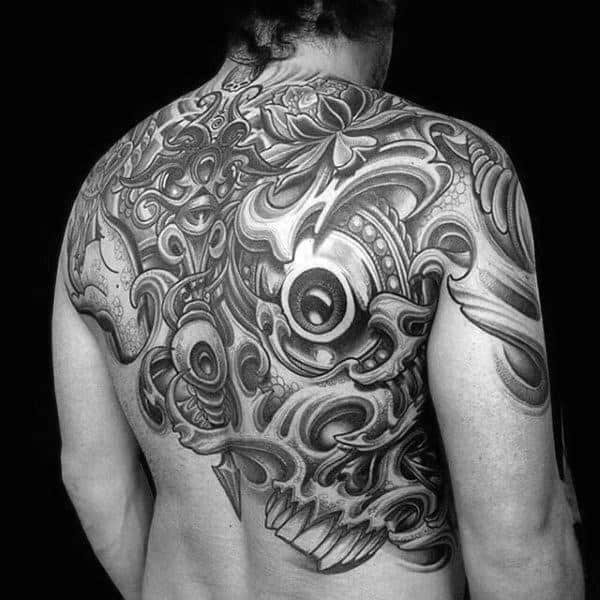 This resembles a pencil drawing and a cool one at that. We’ve seen this design previously, but it’s a little bigger here. A great detailed design of stone work. 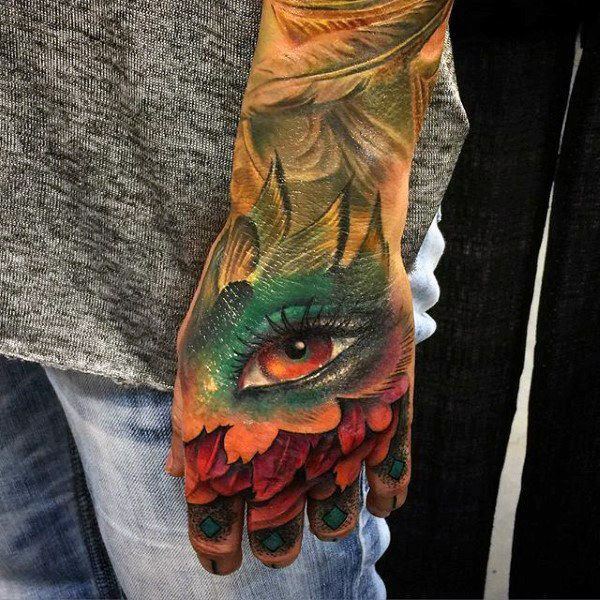 These colors are beautiful and go well with the tattoo. 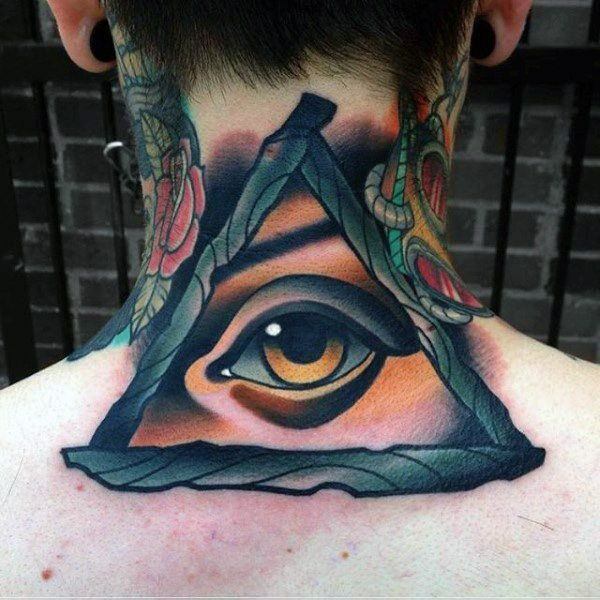 A great tattoo that sits nicely behind the neck. 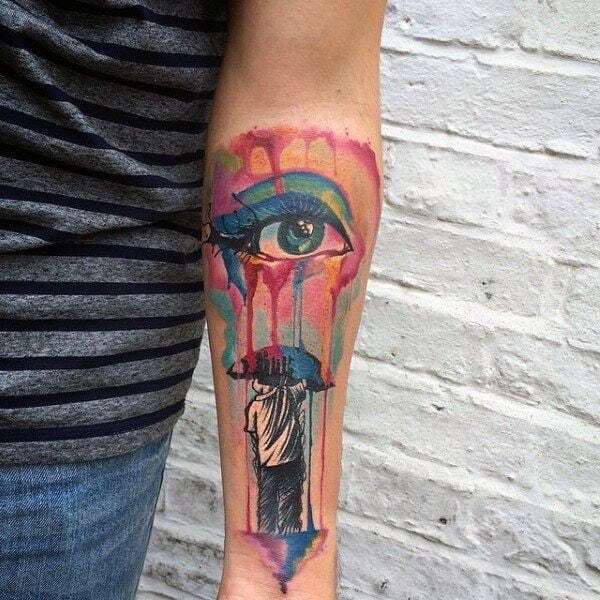 A great tattoo that has some pretty amazing colors to it. A great design that is is a bird of a feather. A great design with plenty of great colors.